Sun striving through a veil of cloud and a high of 35F. 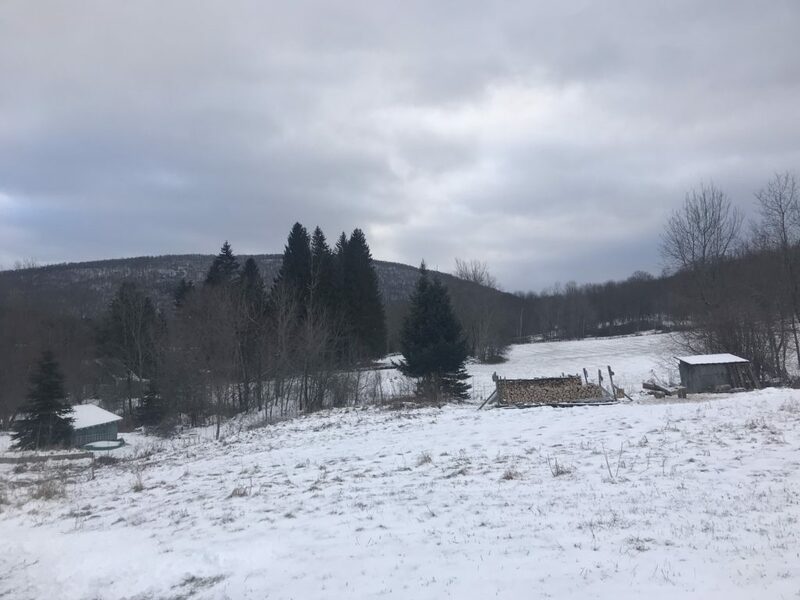 This entry was posted in Daily Catskills and tagged Catskills NY, Upstate New York, Upstate NY on February 23, 2019 by JNUrbanski. Back to the rusty earth tones of a flattened, dormant landscape. Foggy valleys, misty rain and a high of 41F. Much warmer this year, than last year. This entry was posted in Daily Catskills and tagged Catskills Hiking, Daily Catskills, Hiking the Catskills, Upstate NY on January 5, 2019 by JNUrbanski. New year, new view: Buff, naked mountains with the snow washed away by overnight rain and high, gusty winds. Frequent, light sprinkles of sugary snow. Overcast with foggy cloud and a bitter high of 35F. 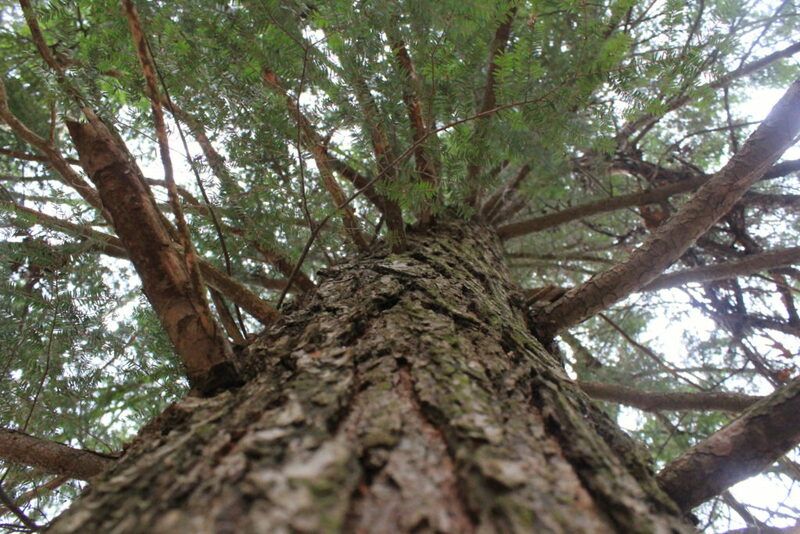 Towering hemlocks provide cover. 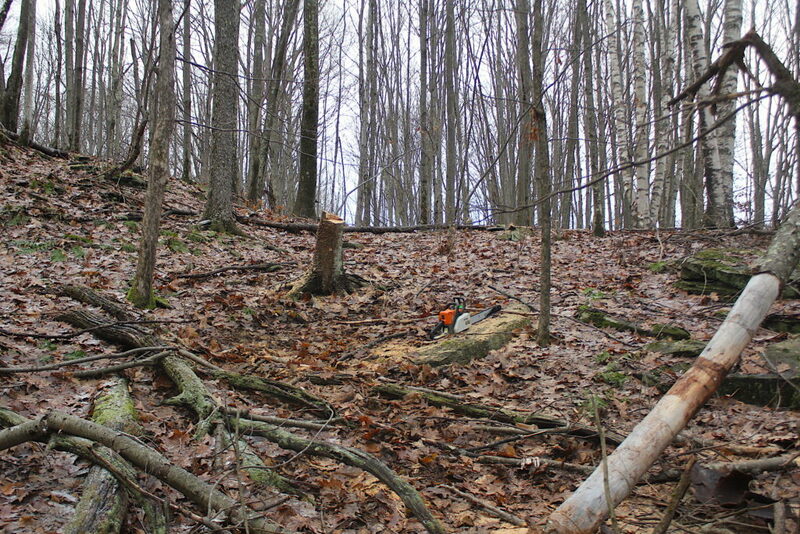 Dead birches provide firewood. Happy New Year! 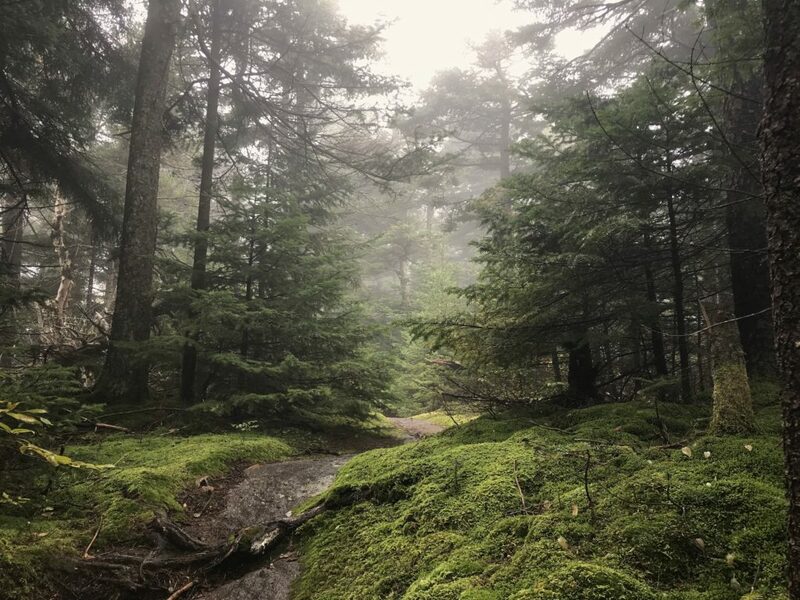 This entry was posted in Daily Catskills and tagged Catskills Hiking, Daily Catskills, Hemlocks of the Catskills, Upstate NY on January 1, 2019 by JNUrbanski. 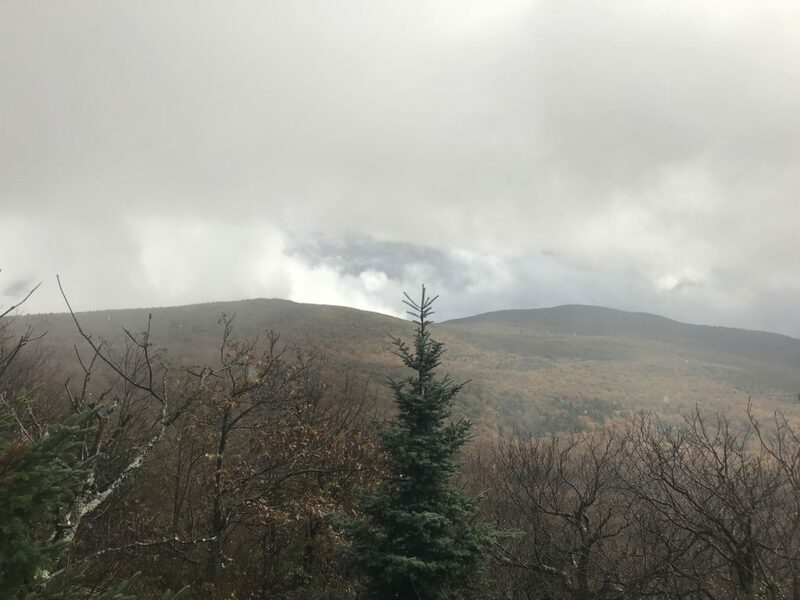 A steamy, humid high of 46F with fast-traveling clouds dumping dry, grainy snow on the tips of the chilly peaks and bitter winds trapped on the south faces. High waters, still. 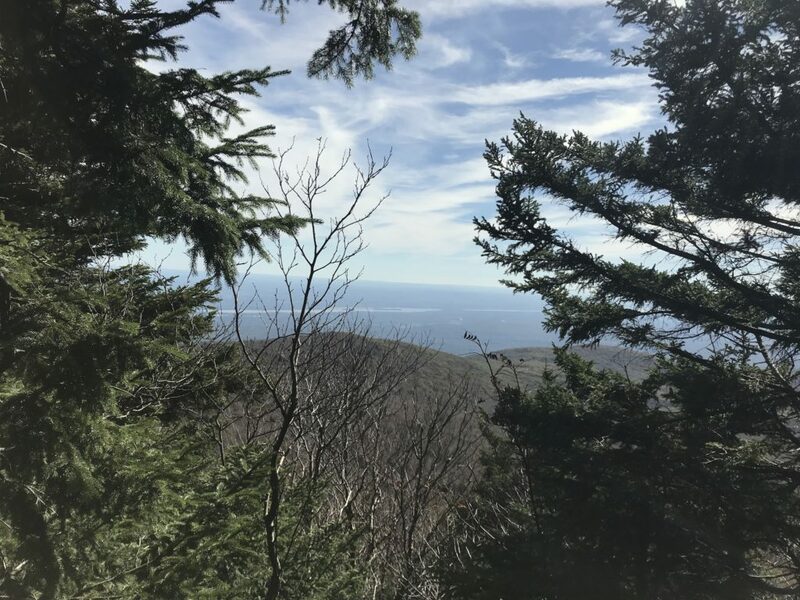 This entry was posted in Daily Catskills and tagged Catskills Hiking, Hunter Mountain, Rusk Mountain, Upstate NY on December 29, 2018 by JNUrbanski. 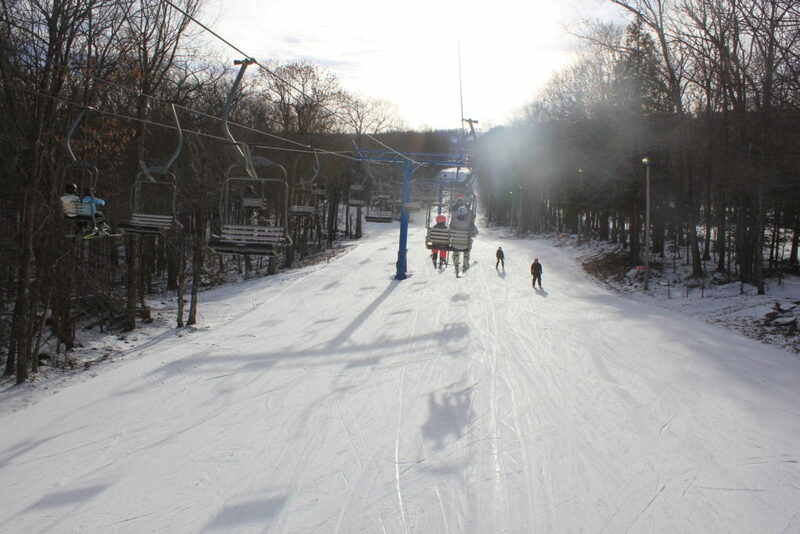 Brilliant sun until early-afternoon and another high of 32F with fresh snowcaps on several peaks. A rare bright day. Busy on Belleayre. 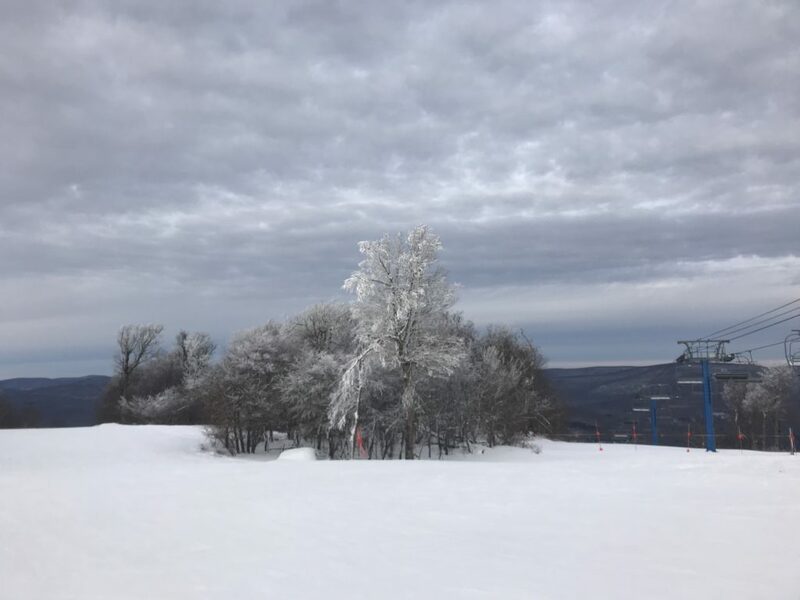 This entry was posted in Daily Catskills and tagged Catskill Mountains, Catskills, Catskills Skiing, Upstate NY, Winter Wonderland on December 27, 2018 by JNUrbanski. Overcast with snow on the peaks and a brief flash of lunchtime sun through the shimmering clouds. A high of 31F. 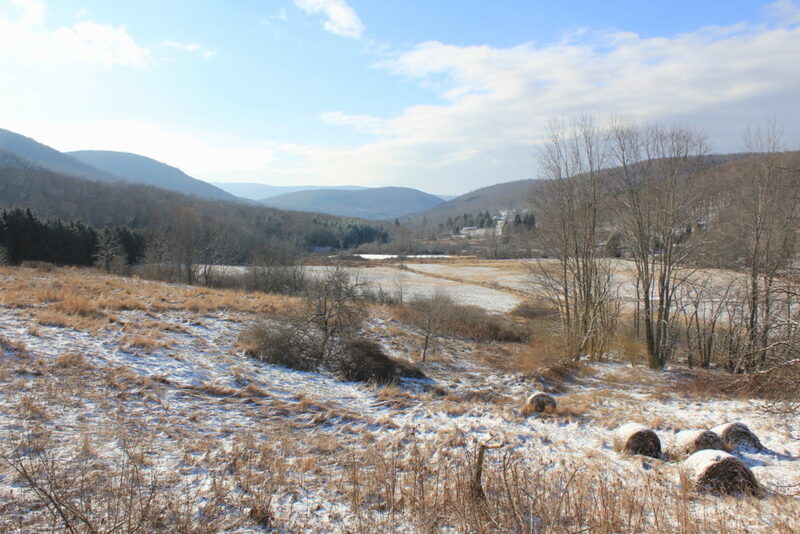 This entry was posted in Daily Catskills and tagged Catskills, Catskills Writer, Daily Catskills, New York, Upstate Dispatch, Upstate NY on December 26, 2018 by JNUrbanski. Moody clouds with a bitter chill in the air and a high of 31F. 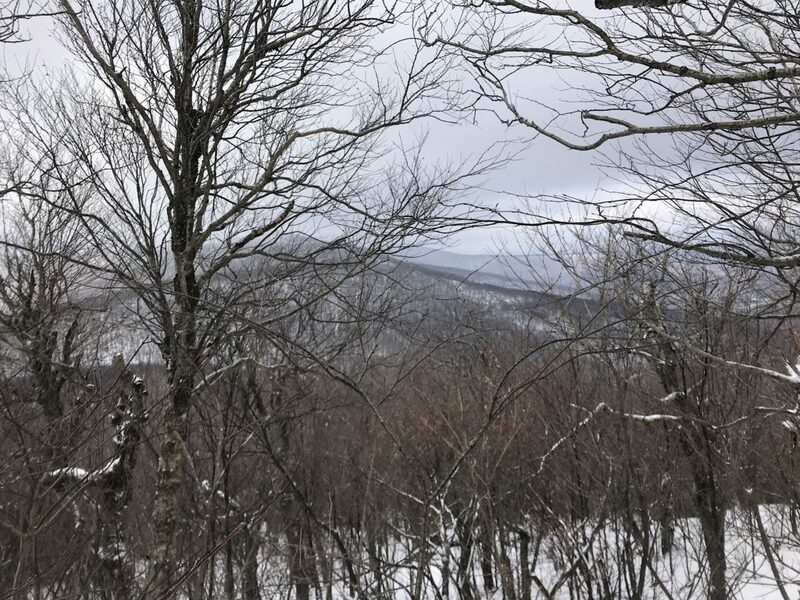 This entry was posted in Daily Catskills and tagged Catskills Hiking, Catskills NY, Daily Catskills, Upstate Dispatch, Upstate NY, Winter Wonderland on December 26, 2018 by JNUrbanski. A calm, white Christmas Eve with an inch or two of morning snow, clearing up late morning for a brief hour of sunshine. Then back into the doldrums with the lightest possible snow fall waning by mid-afternoon. A high of 37F. This entry was posted in Daily Catskills and tagged Catskills Christmas, Christmas in the Catskills, Upstate NY, Winter Wonderland on December 24, 2018 by JNUrbanski. 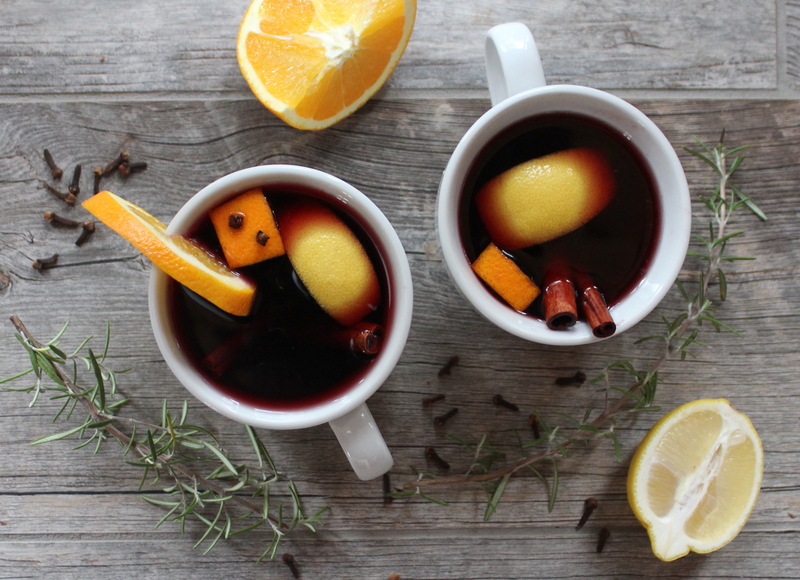 This is a popular mulled wine recipe for port or sherry lovers that has been featured on this website in previous years. Port and lemon is a common combination. When it’s warm, sweetened with cherry juice and spiced it makes a harsh winter worth enduring. Port has a storied history; a staple in British households over Christmas Eve. Santa always got a glass of sherry with his Christmas pudding. And of course, the obsession with marinated cherries continues. Slice off the peel (including pith) of both the orange and lemon until you have the raw fruit and about eight slices of fruit peel. Put the peel to one side and muddle the raw orange and lemon fruit together with the port and cherry juice. Add the remaining ingredients, including the fruit peel, into the muddled mixture. Steep the mixture for a few hours. Add a cup of water to dilute to taste. Pour into a saucepan and heat gently until warm. Remove the fruit waste – but not the peel – once the port has warmed sufficiently to serve. This entry was posted in Drink and tagged Catskills Cocktails, Catskills Writer, Christmas Cocktails, I love NY, Upstate Dispatch, Upstate NY on November 30, 2018 by JNUrbanski. A high of 43F and overcast with rippling, ominous cloud. Bitter and windswept on the peaks. 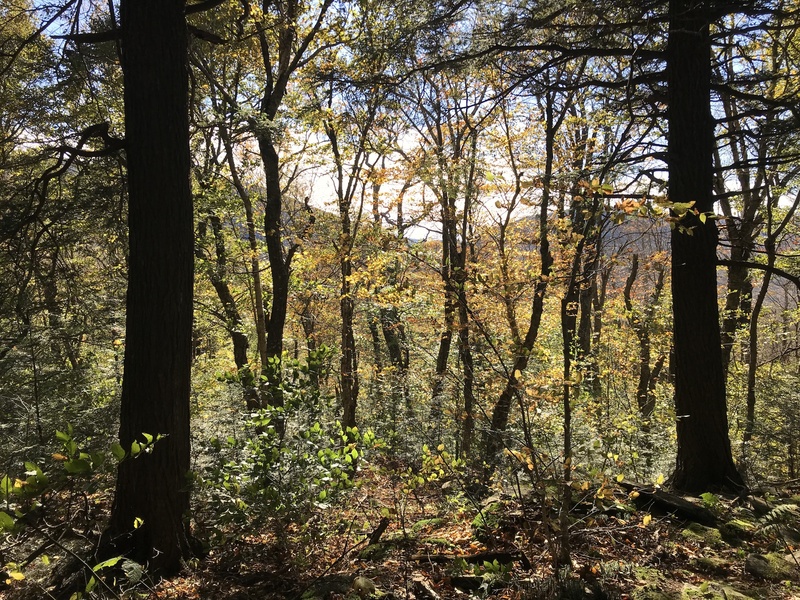 This entry was posted in Daily Catskills and tagged Catskills Hiking, Daily Catskills, Hiking the Catskills, New York, Upstate NY on October 22, 2018 by JNUrbanski. 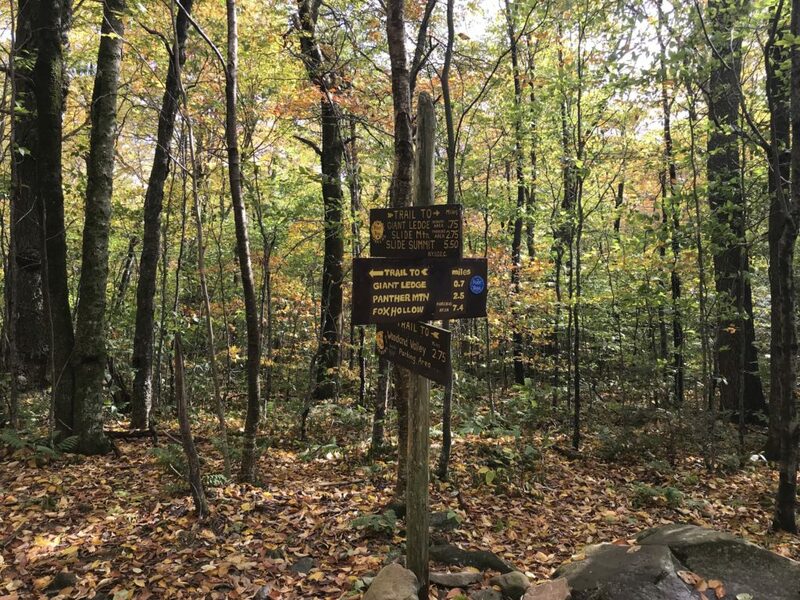 This entry was posted in Hiking The Catskills and tagged Catskills, Catskills Hiking, Daily Catskills, Hiking, Upstate NY on October 20, 2018 by JNUrbanski. 33F by morning with overnight snow on the lower peaks forming a crunchy layer on the ground that lingers until the afternoon. A high of 43F but back to 36F by the evening. 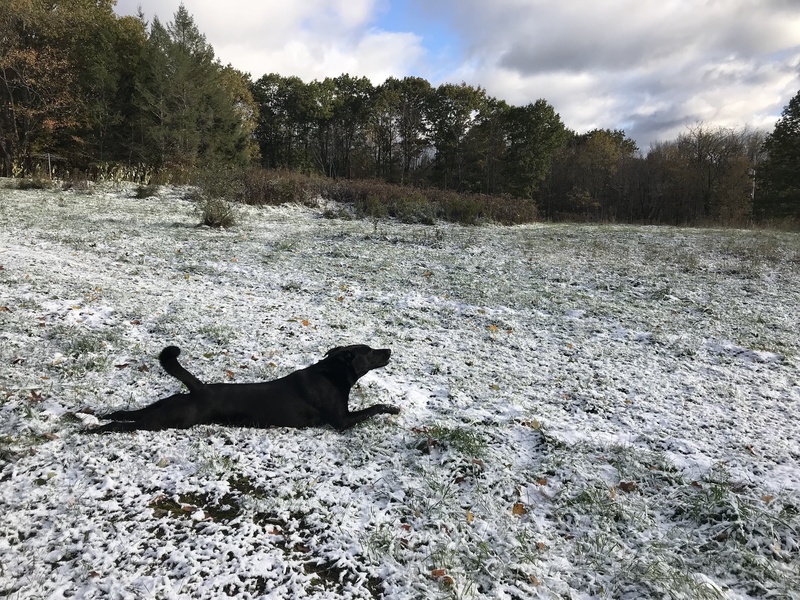 The Black Lab Mix salutes these new frigid temperatures with some yoga – he’s ready – but a lot of green remains on the trees. Fall has not finished. 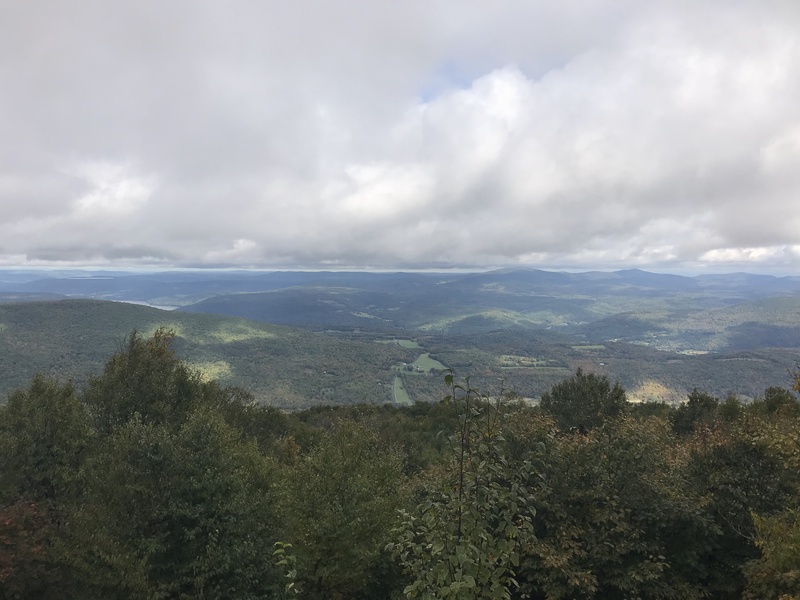 This entry was posted in Daily Catskills and tagged Catskill Mountains, Daily Catskills, Upstate NY on October 18, 2018 by JNUrbanski. A crisp autumn day beginning with a humid morning and rising to a 52F high. 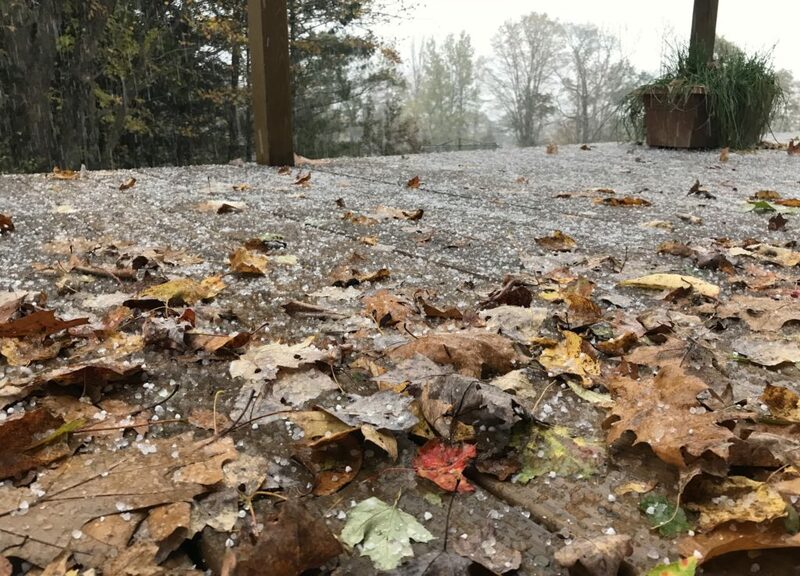 Mostly overcast with rolling, dark cloud bringing a sudden hail storm at 4.15pm and, after a plunge into freezing temperatures of about 36F late evening, a crunchy layer of snow. If we wanted it dull, we would be living somewhere else. 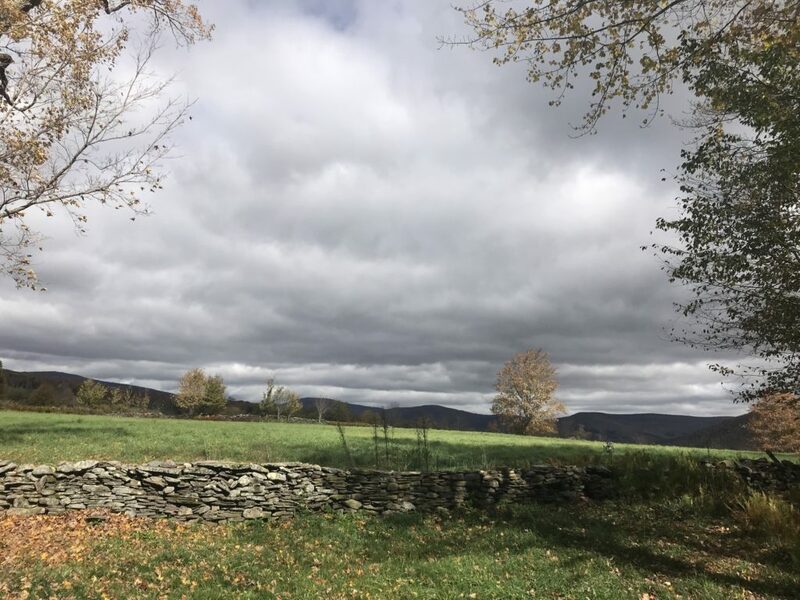 This entry was posted in Daily Catskills and tagged Catskills, Catskills Weather, Daily Catskills, Upstate, Upstate NY on October 17, 2018 by JNUrbanski. A fresh, chilly morning rising to a high of 54F. A rare day with clear, blue skies do nothing to enliven the dull fall colors. Still waiting for nature’s fireworks. 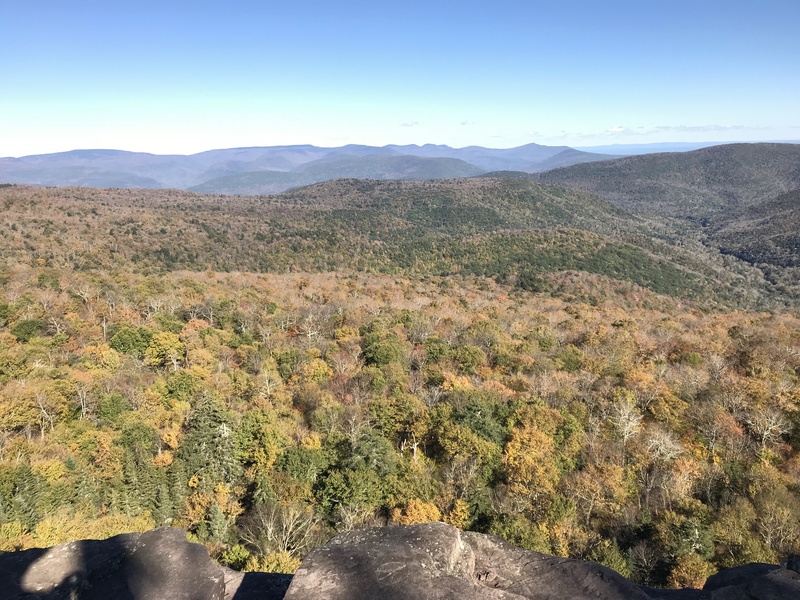 This entry was posted in Daily Catskills and tagged Catskills, Catskills Writer, Fall 2018, Hiking the Catskills, New York Hiking, Upstate NY on October 16, 2018 by JNUrbanski. 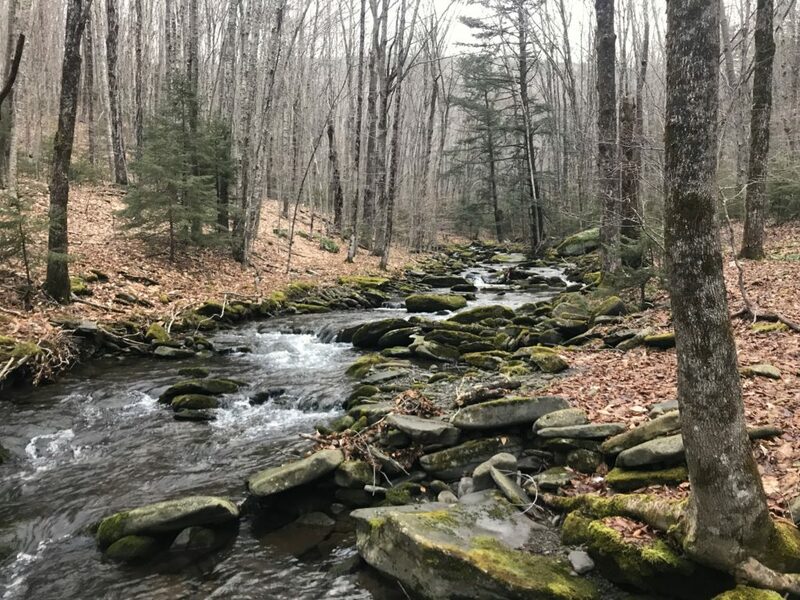 It’s truly extraordinary that one of the most majestic creeks in the Catskills – and possibly about a quarter of the drinking water supplied to nine million New Yorkers – begins with a tiny spring originating on Slide Mountain in Oliverea just over the apex of the Catskills Divide. This spring was dammed at its source by the Winnisook Club in 1886 to create the now 8-acre Winnisook Lake, so that members of this private club would have somewhere to fish. 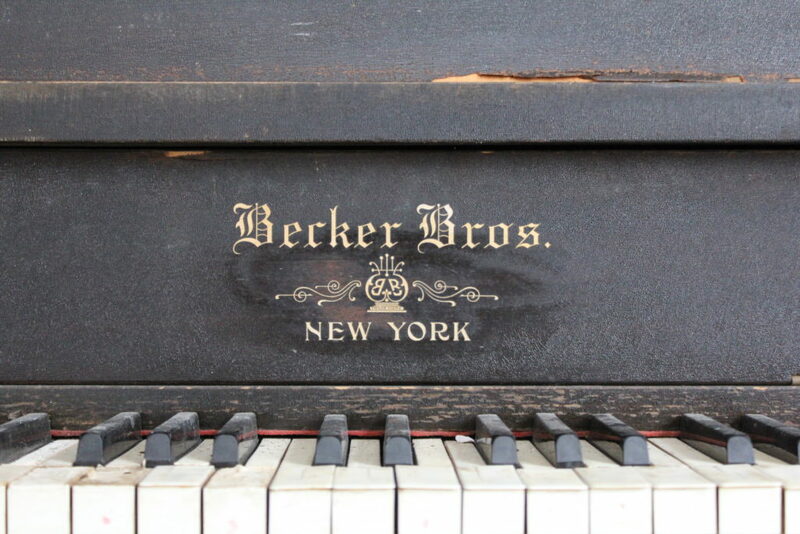 (This is a private club with no public access). 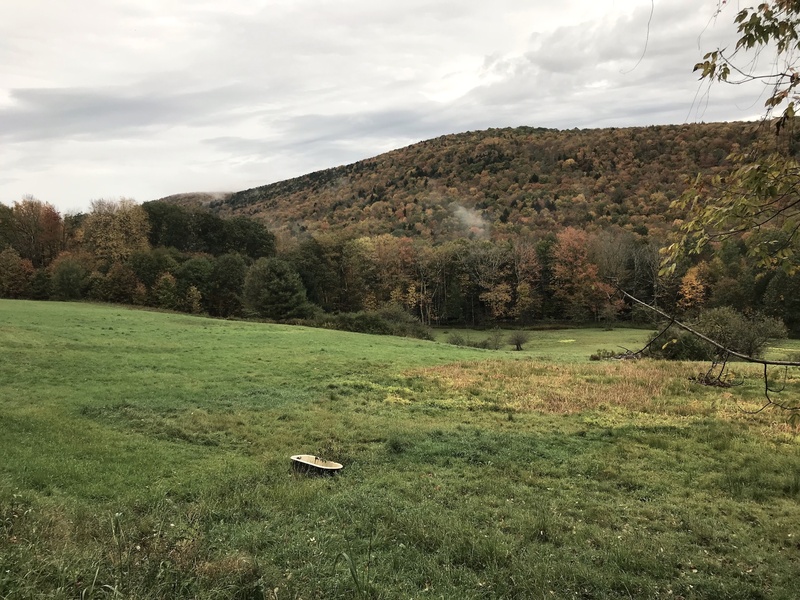 This entry was posted in Historical Catskills and tagged Catskills Rivers, Catskills Water, Catskills Writer, Esopus Creek, Fly fishing in the Catskills, Upstate NY, Winnisook Lake on October 14, 2018 by JNUrbanski. Chilly with rain and brief flashes of sun through thick cloud, only dispersing late afternoon. A high of 52F. 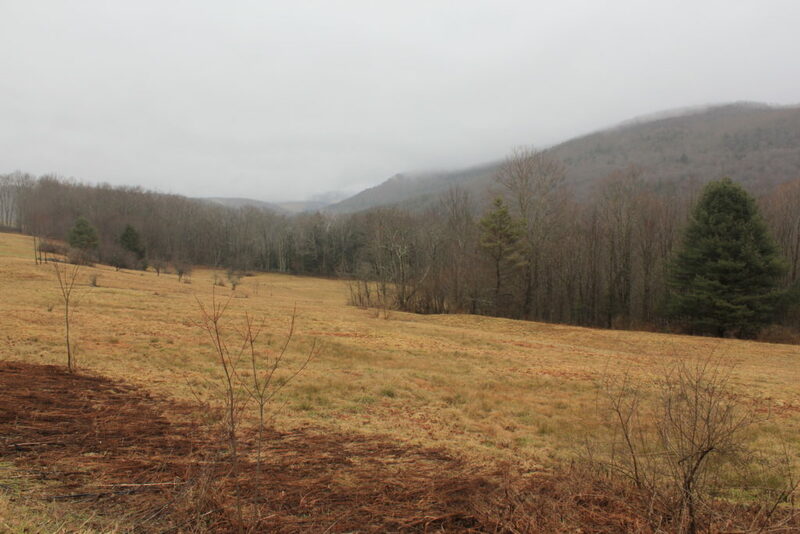 First snow of the season on Kaaterskill High Peak. 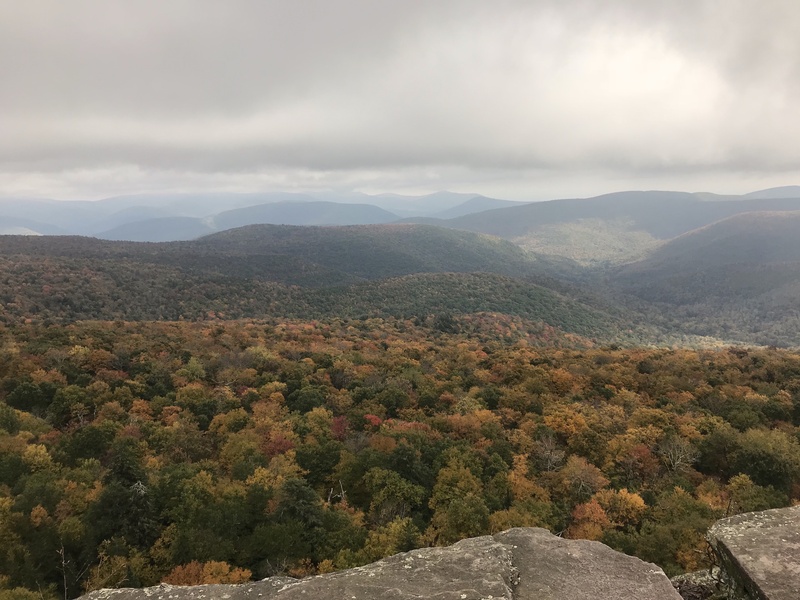 This entry was posted in Daily Catskills and tagged Catskills, Catskills Hiking, Catskills Writer, Hiking, Kaaterskill High Peak, Upstate, Upstate NY on October 13, 2018 by JNUrbanski. All-day rain: fog drifting in the valleys and as humid as a sauna. Steamy. 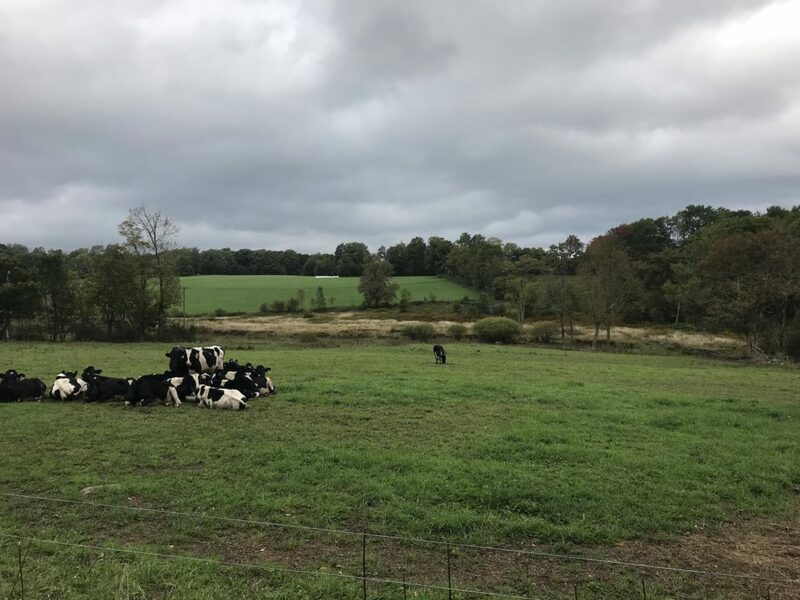 This entry was posted in Daily Catskills and tagged Catskills, Catskills Writer, Upstate NY on October 12, 2018 by JNUrbanski. Ah, Giant Ledge. These days it’s like Times Square up there even on a weekday in autumn because it’s a quick 1.5 miles from the parking area, over a babbling brook and up quite a steep, rocky incline to literally a giant ledge jutting out into the wilderness with astonishing panoramic views of both western and eastern Catskill Mountains. On a nice summer day, you can get up there in your day wear on a lunch break and then there’s full cell service at the summit, which makes it popular with the Instagrammers, photographers and weekend visitors. There is no cell service on the way up, in the parking area or on Route 47. 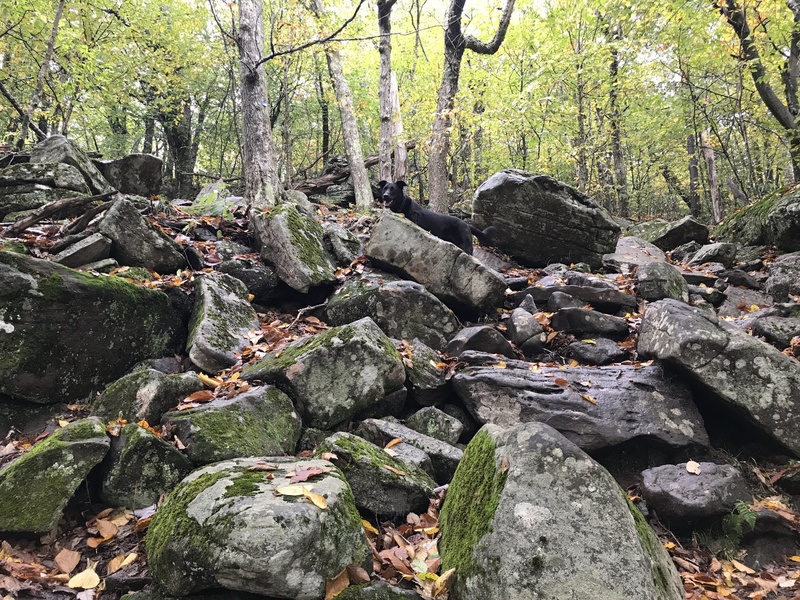 In the fall, it’s muddy and once the leaves start falling on the trail along with the rain, the rocks get very slippery so extra care is needed. (In the winter, it completely ices over and it’s necessary to use crampons). Only the beginning part of the trail to Giant Ledge is level: a brief reprieve in the rock climbing, but it’s still muddy at the moment. None of that seems to deter the multitude of visitors though, because it’s one of the perfect spots to watch the leaves change. Right now, the landscape is mostly yellow with some swathes of red. There’s lots of green left on the oaks and other hard woods, but it’s sure to burst into its final, vivid orange fireworks any day now. If that happens on a sunny day, we’ll be golden. Go here to scroll thought last year’s October. Giant Ledge is a 2.5-hour drive from George Washington Bridge. Take I-87 to Kingston, Exit 19, then take Route 28 (West) after the traffic circle, following the sign to Pine Hill. 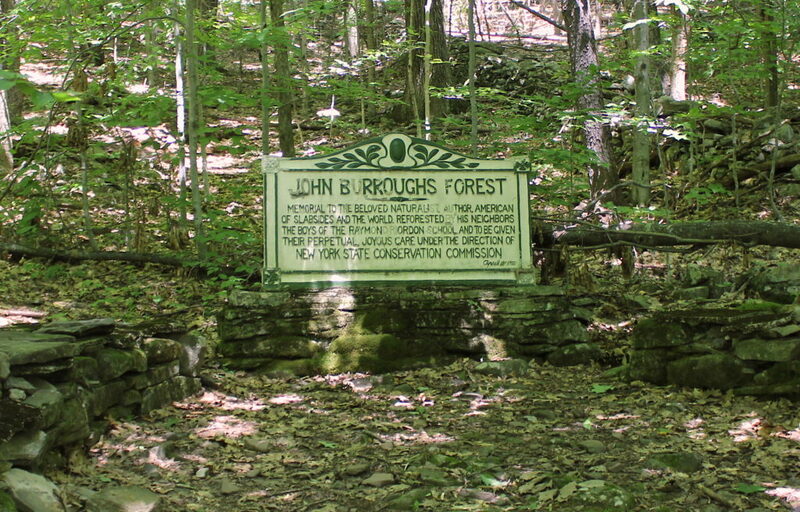 At Big Indian, turn left onto Route 47 and drive 7.5 miles south on Route 47 until you see the trail head sign. The parking area is just before a hairpin bend. 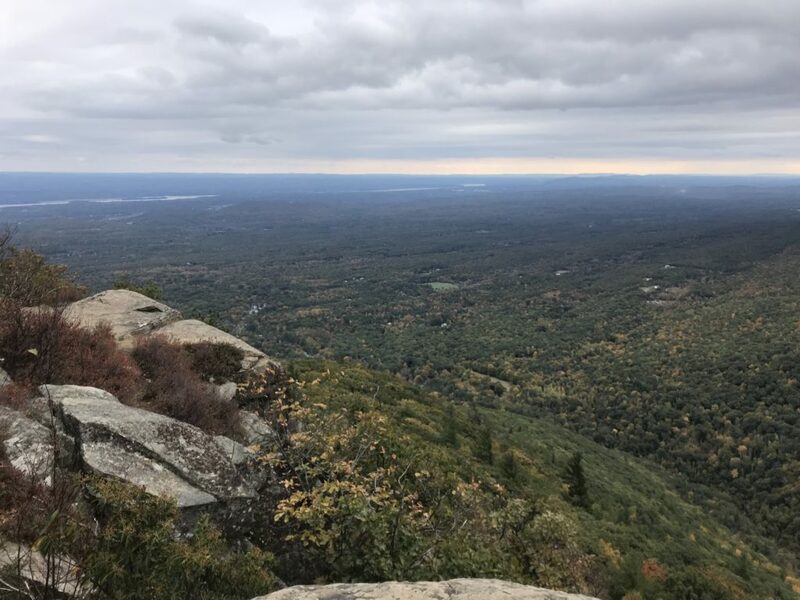 This entry was posted in Hiking The Catskills and tagged Catskills, Catskills Hiking, Catskills Writer, I love NY, Upstate NY on October 10, 2018 by JNUrbanski. A balmy high of 78F, but overcast still with thick cloud like a plumped up duvet that rolled back to reveal some sun (sun!) for a brief period in the early afternoon. This entry was posted in Daily Catskills and tagged Catskills, Catskills Hiking, Catskills Writer, Daily Catskills, Upstate Dispatch, Upstate NY on October 9, 2018 by JNUrbanski. This time in the beginning of fall is the best time to hike. 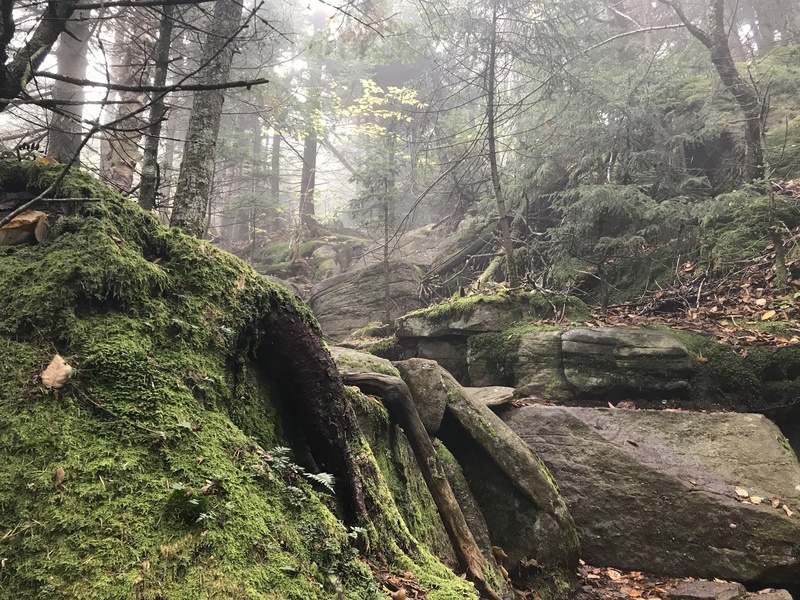 It’s too cold for the bugs but warm enough to hike in a t-shirt once you have gotten going and the leaves have only just started to fall, so there’s no thick, wet carpet of rotten leaves coating the rocks to make the trail treacherously slippery. 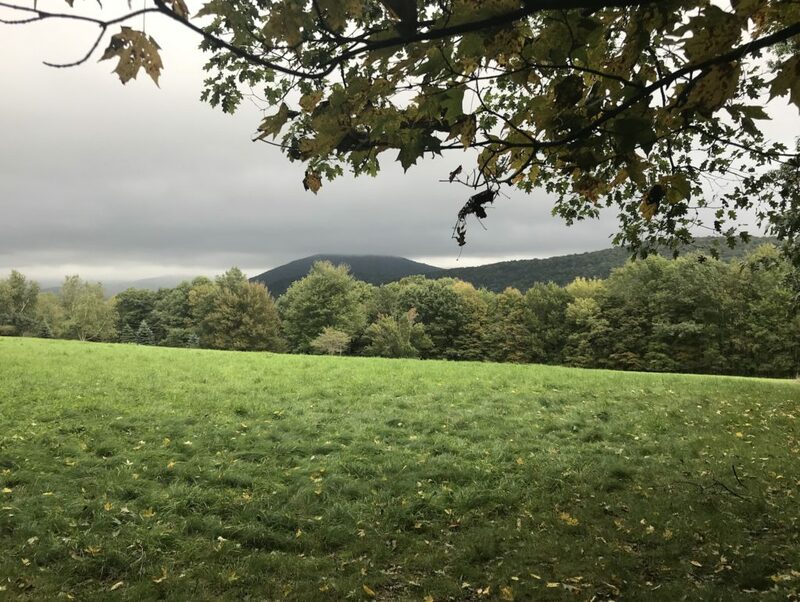 This entry was posted in Hiking The Catskills and tagged Catskills, Catskills Writer, Cornell, Cornell Mountain, Hiking the Catskills, Upstate NY, Wittenberg on October 7, 2018 by JNUrbanski. Gloomy, overcast with the sun occasionally breaking through the cloud for a high of 64F. Thick mist hovered over the caps on the high peaks for most of the day. The whisper-quiet summit of Cornell covered in a foggy shroud. 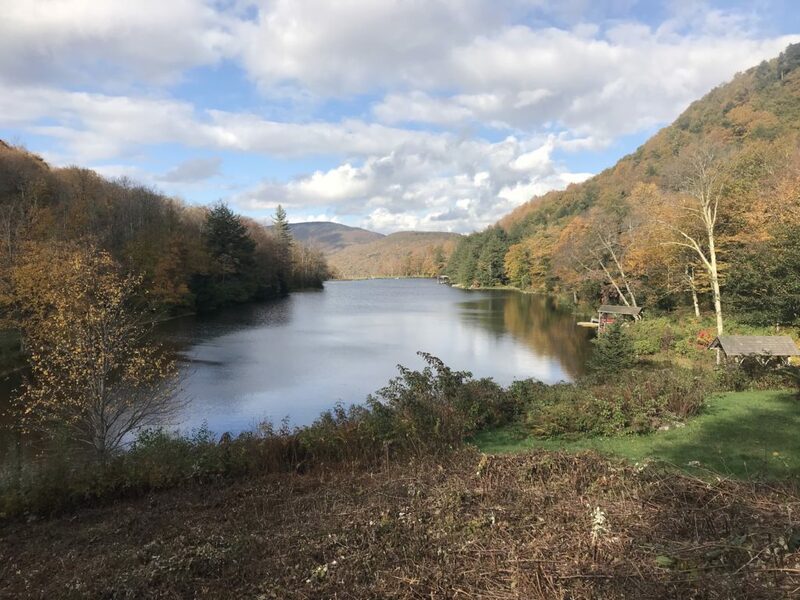 This entry was posted in Daily Catskills and tagged Catskills 35, Catskills Writer, Daily Catskills, I love NY, Upstate NY on October 6, 2018 by JNUrbanski. After a gloomy morning, the thick clouds evaporated into nothing leaving clear skies and blazing sunshine for a change. 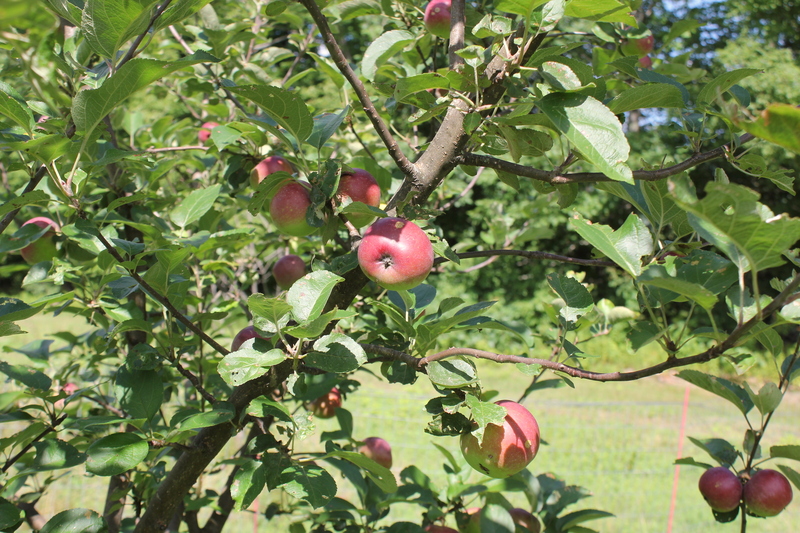 Fall began in earnest this week. The yellow leaves are falling and the reds are popping. 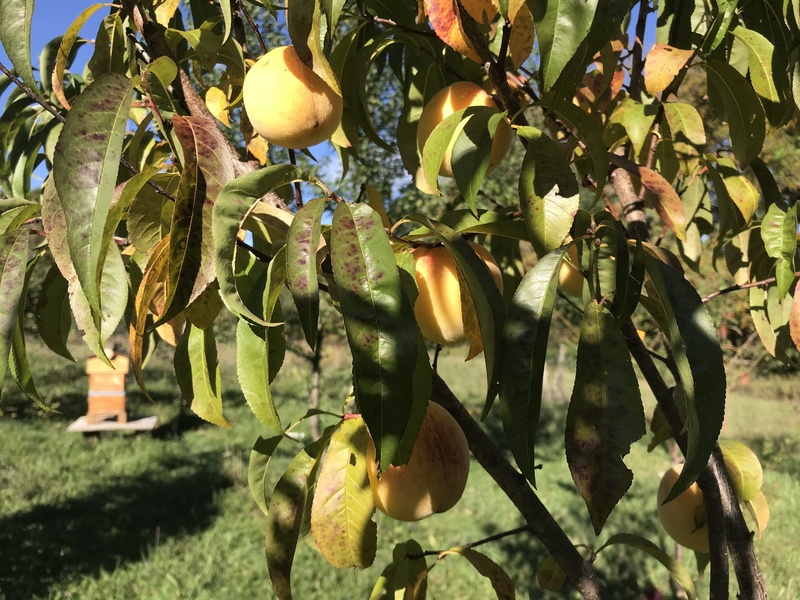 Peaches are ripening just as their leaves are drooping. 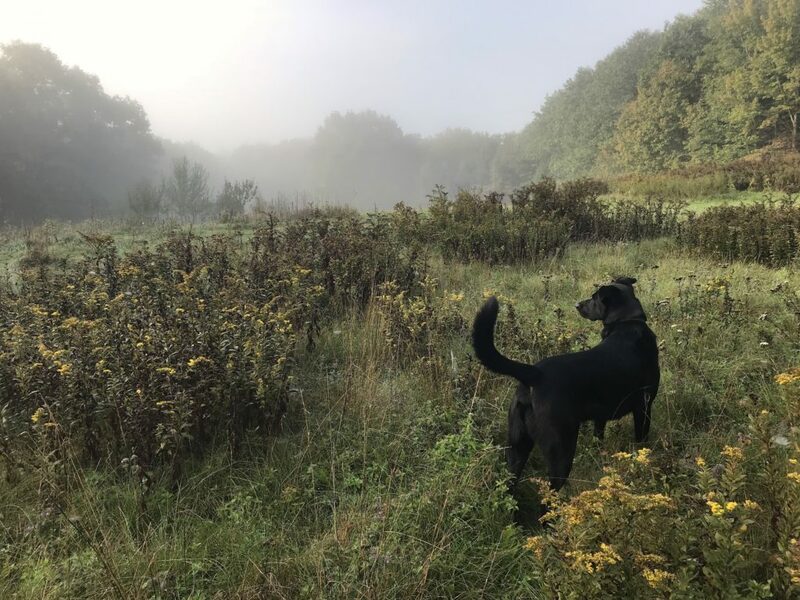 This entry was posted in Daily Catskills and tagged Autumn, Catskills, Catskills Writer, Fall in the Catskills, Upstate NY on October 5, 2018 by JNUrbanski. 55F at 9am with mist rolling back and forth from the valleys. A high of 64F and mostly overcast for the rest of the day with brief periods of sunshine. This entry was posted in Daily Catskills and tagged Catskills, Catskills Writer, Daily Catskills, I love NY, Upstate NY on September 30, 2018 by JNUrbanski. Almost 60F by mid-morning with ominously low blanket of cloud that splits into a flotilla of long cotton balls by mid-afternoon. A high of 62F. 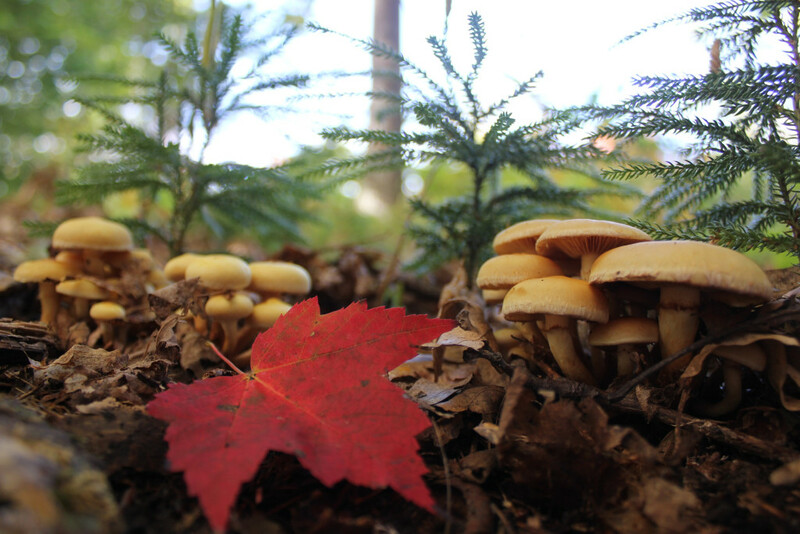 The fall is slower this year with only vague swathes of red amidst the yellowing landscape. 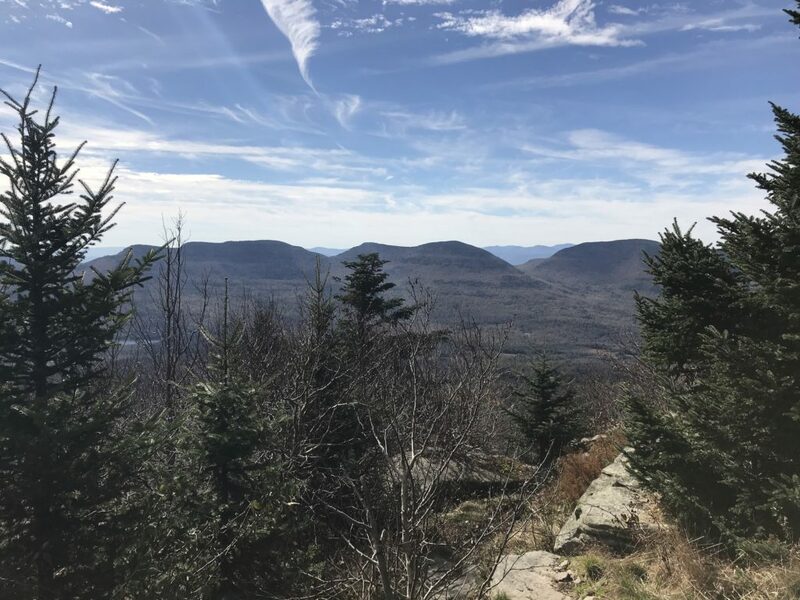 This entry was posted in Daily Catskills and tagged Catskills, Catskills Writer, Fall, Fall in the Catskills, Upstate, Upstate NY on September 29, 2018 by JNUrbanski. 55F mid-morning and moody all day with mist and thick cloud enveloping the mountains. Intermittent rain showers and a high of 66F. A slight reddening has begun. This entry was posted in Daily Catskills and tagged Catskills Writer, Daily Catskills, New York, Upstate New York, Upstate NY on September 28, 2018 by JNUrbanski. 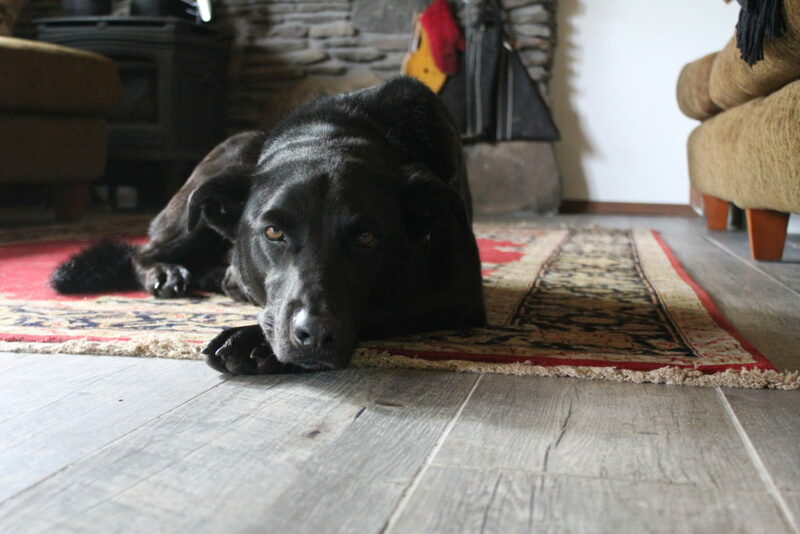 Another one of our many moody days. Showers in some areas, and the ubiquitous low-hanging clouds looking like the underside of a winter comforter. Long, steady breezes push through the trees and a high of 75F. More rain late afternoon. Rain, rain, rain. Cows in a huddle. This entry was posted in Daily Catskills and tagged Catskills, Catskills Writer, I love NY, Upstate, Upstate NY, Visit Catskills on September 26, 2018 by JNUrbanski. 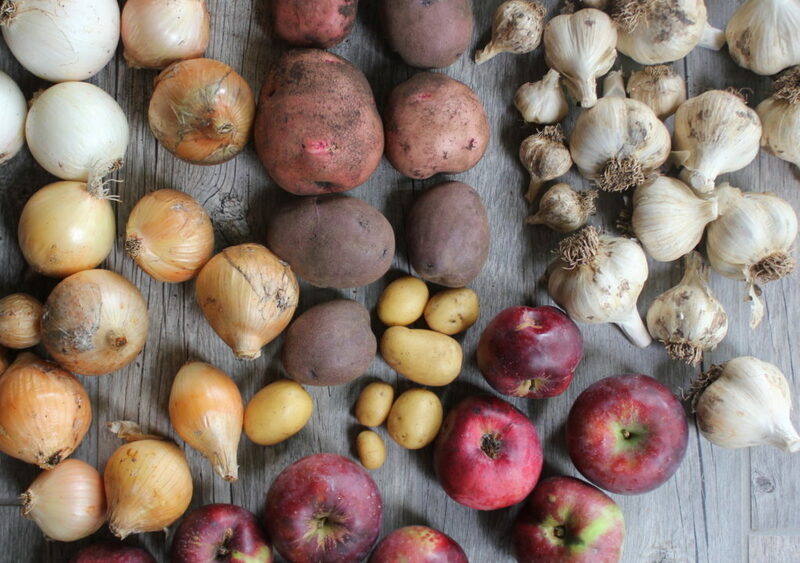 What do you do when you have a basement full of potatoes, onions, garlic and apples? Add lentils to make a Fall Harvest Soup. You can easily make it vegan by not adding butter. You can also add bacon if you can’t live without meat, frying thin slices of your bacon in with the garlic. 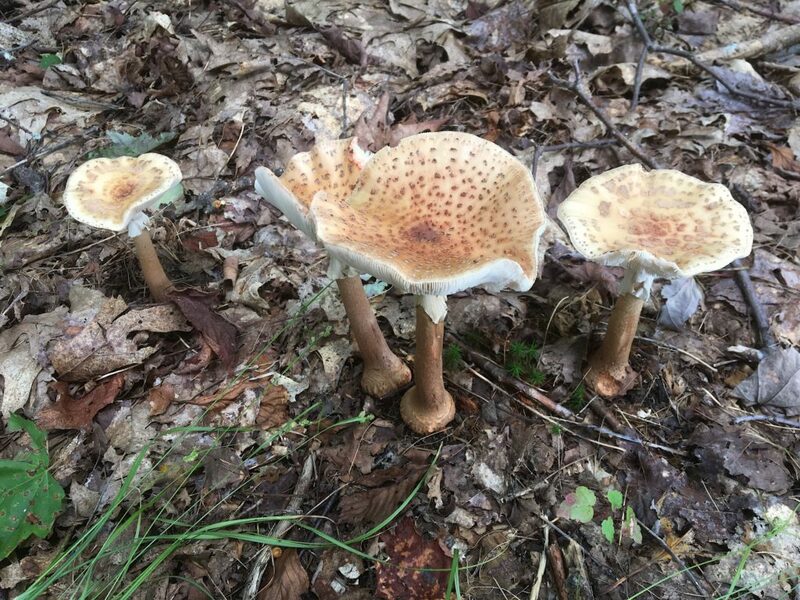 This entry was posted in Food and tagged Catskill Mountains, Catskills Harvest, Farm Recipes, Harvest, Upstate, Upstate NY on September 23, 2018 by JNUrbanski. 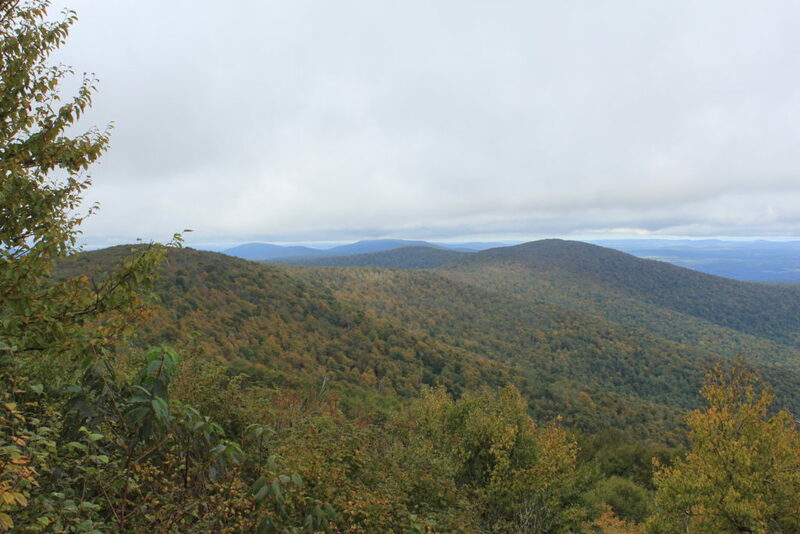 Overcast with a chill in the air, for a high of 66F and a plunge into the 50s on the peaks by dusk. The first day of autumn. 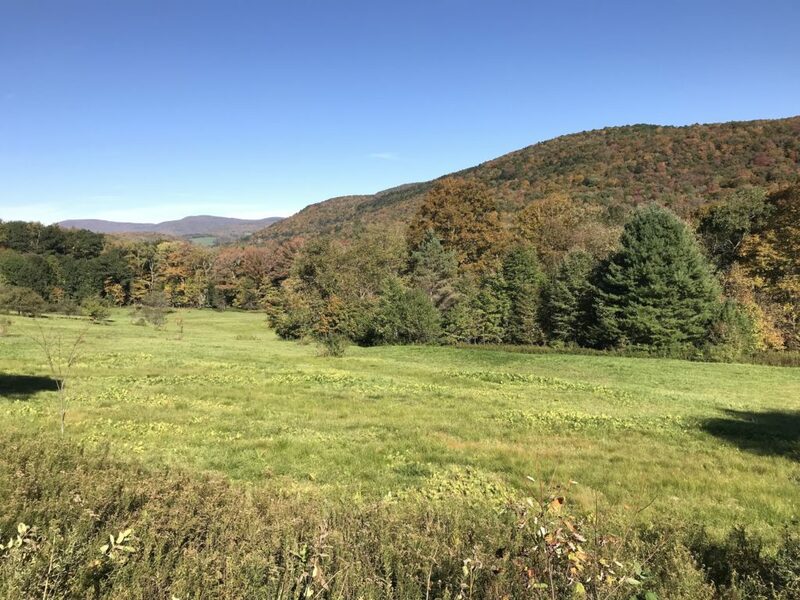 This entry was posted in Daily Catskills and tagged Catskills, Catskills Writer, Daily Catskills, New York, Upstate, Upstate NY on September 22, 2018 by JNUrbanski. A sturdy autumn breeze steals the day, shaking acorns out of the trees. Overcast with sombre clouds passing slowly in a low, solemn procession and chilly for a high of 66F. The landscape continues its barely discernible yellowing. This entry was posted in Daily Catskills and tagged Catskills, Catskills Writer, I love NY, New York, Upstate NY on September 21, 2018 by JNUrbanski. Overnight rain spills into morning and continues for most of the day. Bright sunshine with scudding clouds late afternoon and a high of 74F. 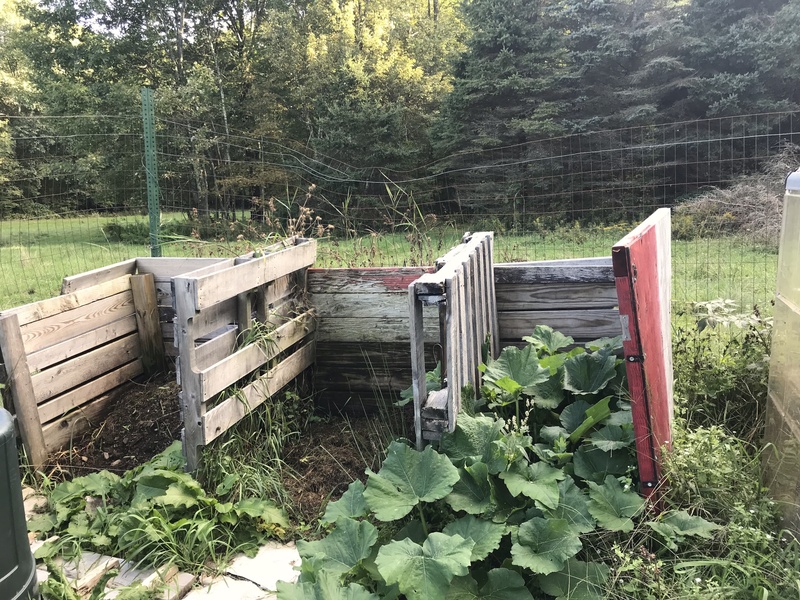 Autumn squash grows out of the compost. This entry was posted in Daily Catskills and tagged Catskills, Catskills Writer, New York Upstate, Upstate NY on September 18, 2018 by JNUrbanski. Gloomy, overcast with a high of 58F. Chilly. One sunflower bravely soldiers on. 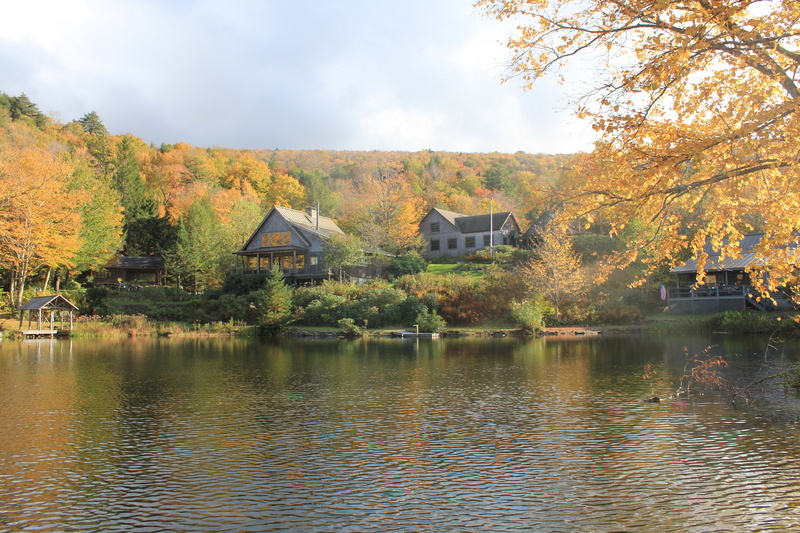 This entry was posted in Daily Catskills and tagged Catskills Writer, Daily Catskills, New York, Upstate NY on September 10, 2018 by JNUrbanski. 80F by noon and breezeless, but cooler in the forest. A humid 84F high broken by heavy clouds, mid-afternoon showers, lightning and a long thunderstorm that dumps a mass of evening mist that rolls in and out of the valleys at dusk like a tide. Then a power cut at 8.30pm for absolutely no reason at all. This entry was posted in Daily Catskills and tagged Catskills, Catskills Writer, New York, Upstate, Upstate NY on September 6, 2018 by JNUrbanski. 85F by mid-morning and 90F by mid-afternoon with huge, billowing clouds that had all but disappeared by the afternoon. Roasting hot in the sun and humid. Another scorcher. 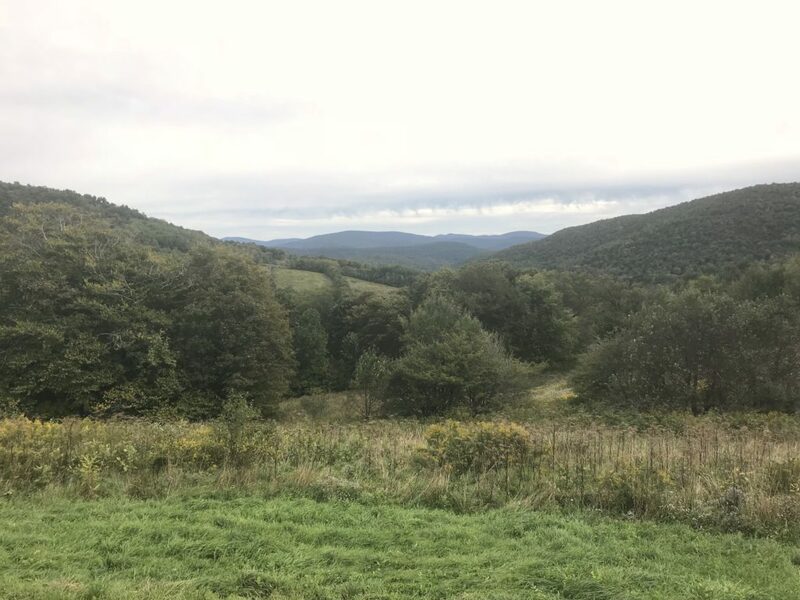 This entry was posted in Daily Catskills and tagged Catskills, Catskills NY, Upstate New York, Upstate NY on September 5, 2018 by JNUrbanski. Humid and overcast with a high of 75F and gentle breeze. Muggy. September begins under thick, pillowy cloud. 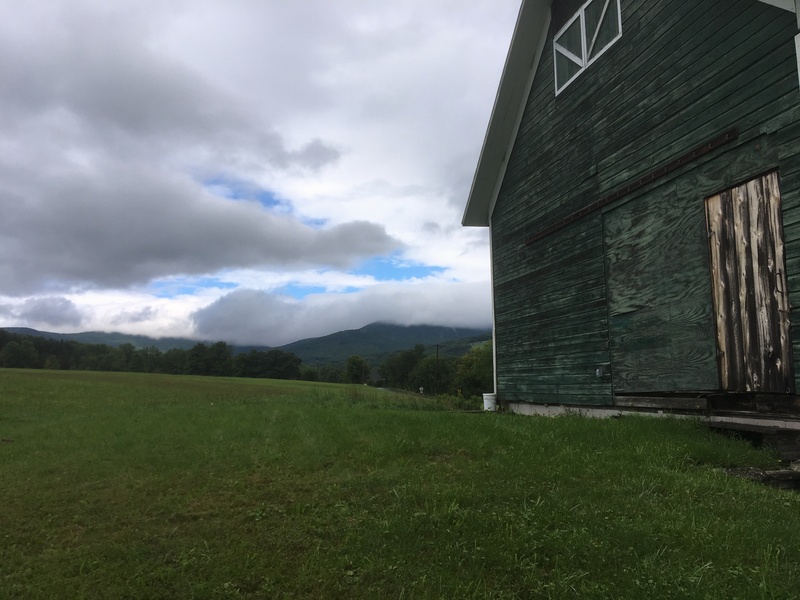 This entry was posted in Daily Catskills and tagged Catskills, Catskills Writer, Daily Catskills, Upstate, Upstate NY on September 1, 2018 by JNUrbanski. 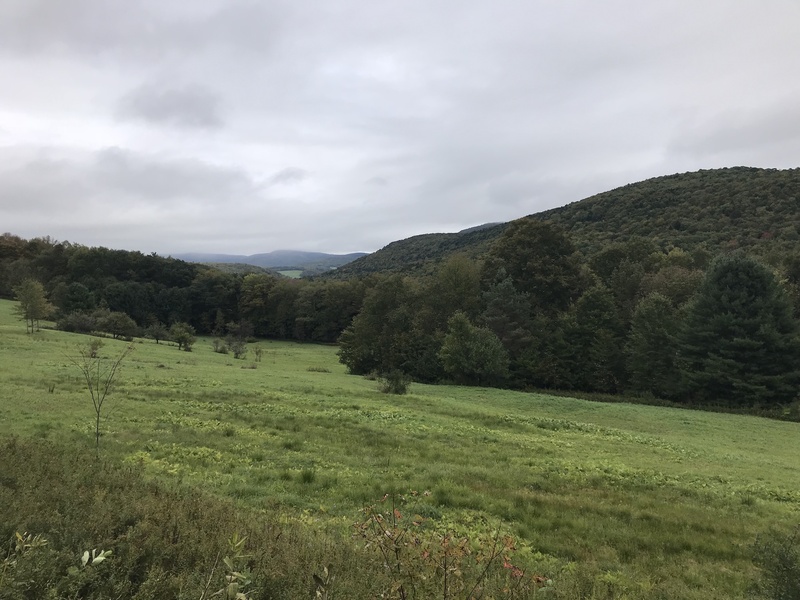 The Finger Lakes Trail wends through the Catskills, beginning at the western edge of the Slide Mountain Wilderness and continuing on to Downsville and way beyond, stretching for about 500 miles. 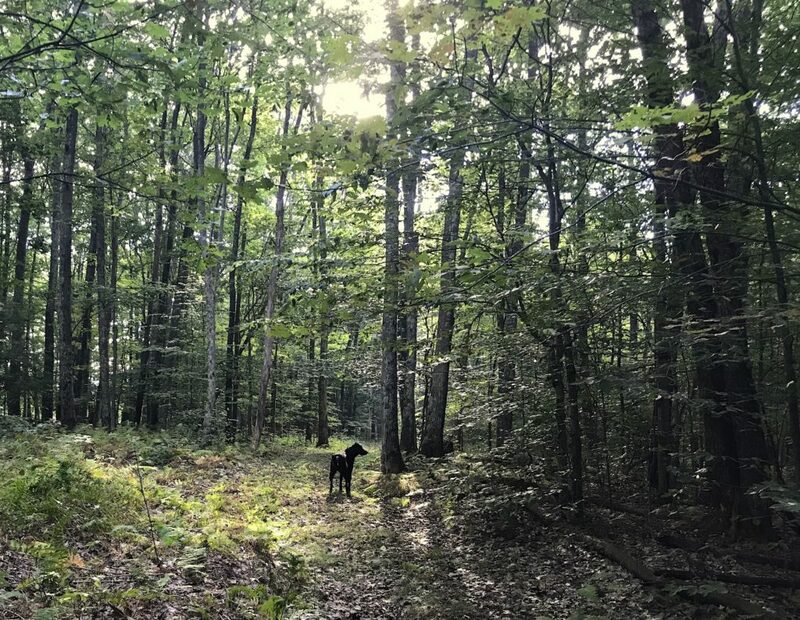 This entry was posted in Hiking The Catskills and tagged Catskills, Hiking in the Catskills, Hiking the Catskills, Upstate New York, Upstate NY on August 23, 2018 by JNUrbanski. Dark and gloomy for most of the day with a high of 75F and very humid. Intermittent rain showers flooding roads and filling reservoirs over their brim. Soggy. This entry was posted in Daily Catskills and tagged Catskills, Catskills Writer, Daily Catskills, Upstate NY on August 18, 2018 by JNUrbanski. A rainy, soggy morning with a brief interlude of warming sun around midday with brief periods of sunshine, returning to torrential rain and thunderstorms late afternoon. A high of 80F. 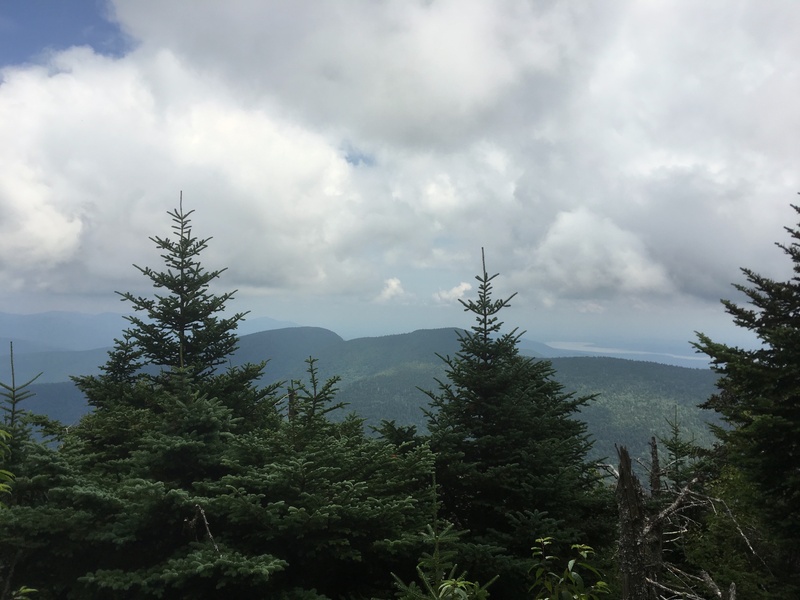 This entry was posted in Daily Catskills and tagged Catskills Writer, Daily Catskills, Hiking the Catskills, Upstate, Upstate New York, Upstate NY on August 17, 2018 by JNUrbanski. “I remember when you went for a job and there were signs saying WOMEN NOT WANTED or MEN ONLY or BOYS ONLY”. Reportedly, this year the US has had a record number of female political candidates running for office. Joyce St. George is one of these women. 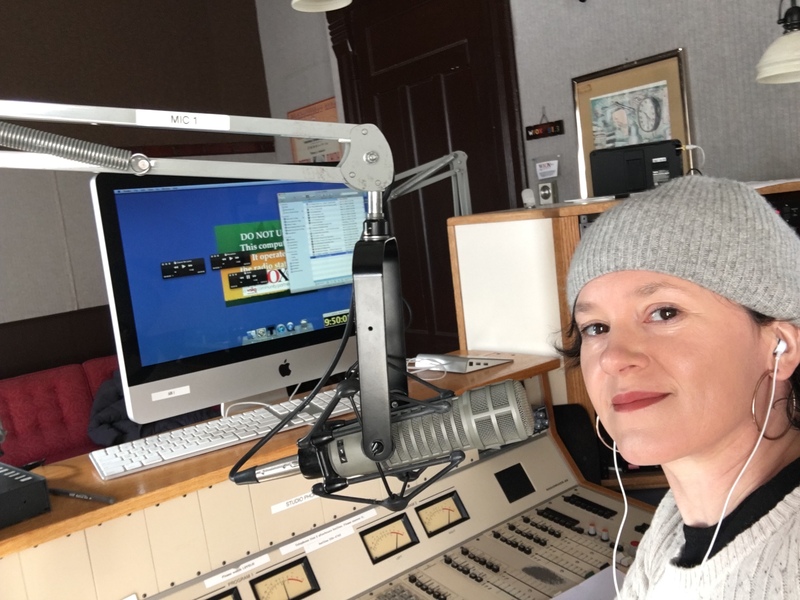 Joyce was a guest on my radio show on April 30th and we talked about some aspects of her career, being a woman in politics, her career in law enforcement, her run for state senate and what she does to unwind (she also practices and teaches karate here in the Catskills). Joyce is a powerhouse with an intimidating resume. She began her career in the 1970s, when she became the first female investigator to serve in the New York State Attorney General’s Special Prosecutor’s Office on Anti-Corruption. Following the dramatic testimony of Frank Serpico, Joyce and her colleagues rooted out corruption within the criminal justice system in NYC, investigating police officers, judges and district attorneys. That was only the beginning of her career and I’m wondering why nobody’s made a movie about Joyce herself. Joyce is approachable, affable and engaging with a big heart. With her husband Frank Canavan, she works with the Margaretville Food Pantry that serves 500 local families. Joyce was hired by FEMA to provide crisis services in Delaware County following the floods from Hurricane Irene and Tropical Storm Lee, and served on the Flood Mitigation Council for the area. 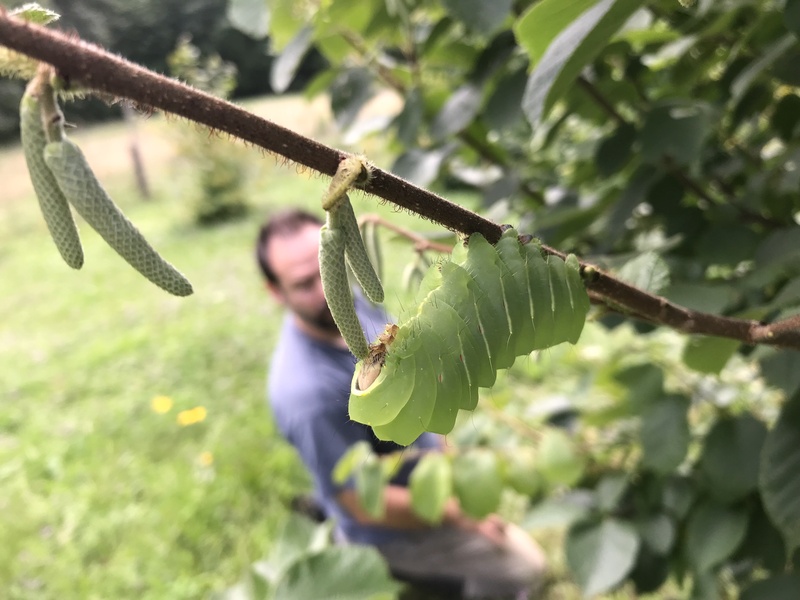 This entry was posted in Catskills Conversations and tagged Catskills, Catskills Writer, Upstate Dispatch podcasts, Upstate New York, Upstate NY on August 12, 2018 by JNUrbanski. 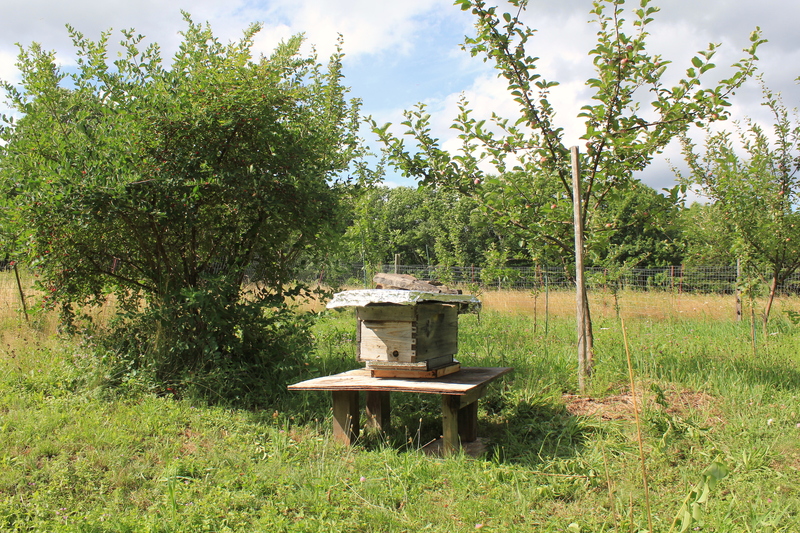 After a week of torrential rain, a day of blazing sun. A high of about 90F on the mountain tops. 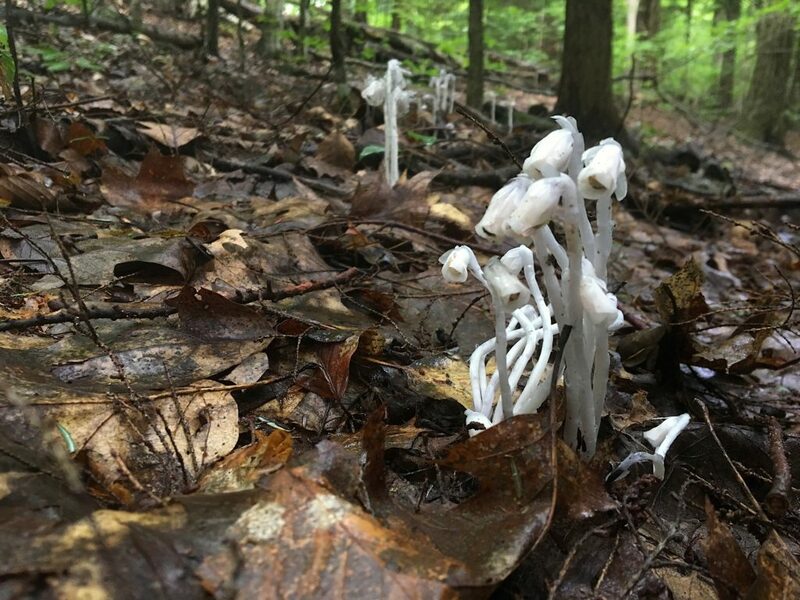 This entry was posted in Daily Catskills and tagged Catskills, Catskills NY, Daily Catskills, Jim Jarmusch, Upstate NY on August 5, 2018 by JNUrbanski. Rain early morning with a high of 86F with strong sun and billowing, cotton wool clouds. More rain afternoon and evening. 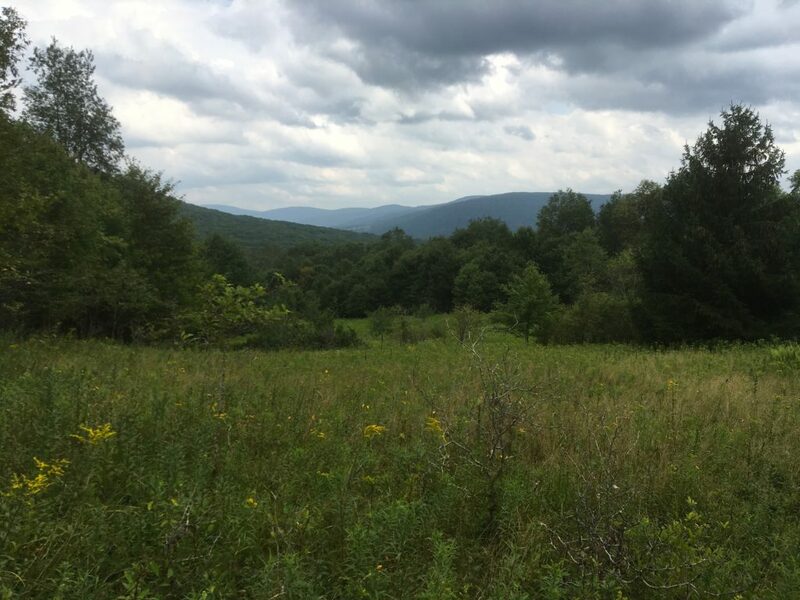 This entry was posted in Daily Catskills and tagged Catskill Mountains, Catskills NY, Catskills Writer, Daily Catskills, Upstate New York, Upstate NY on August 5, 2018 by JNUrbanski. 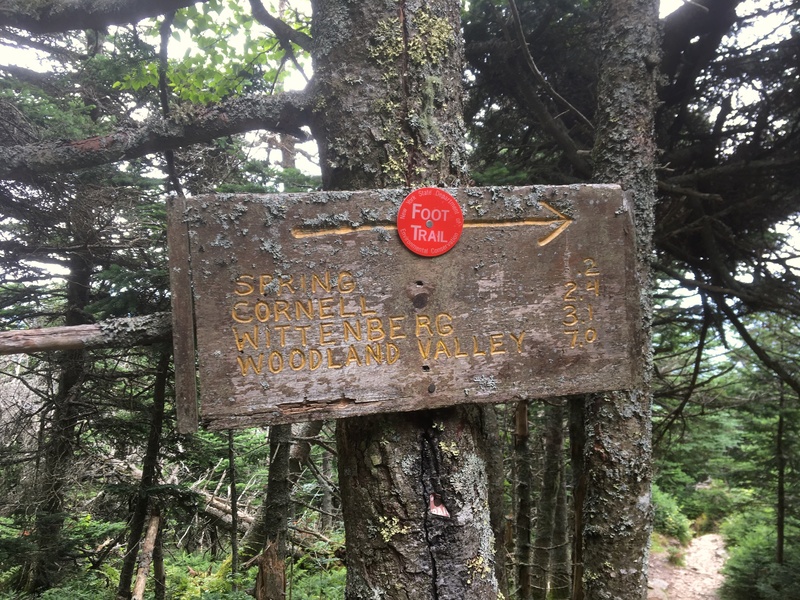 This entry was posted in Hiking The Catskills and tagged Catskills NY, Catskills Writer, Hiking, Hiking in the Catskills, Upstate NY on August 3, 2018 by JNUrbanski. A high of 81F, overcast and humid with brief interludes of sunshine. 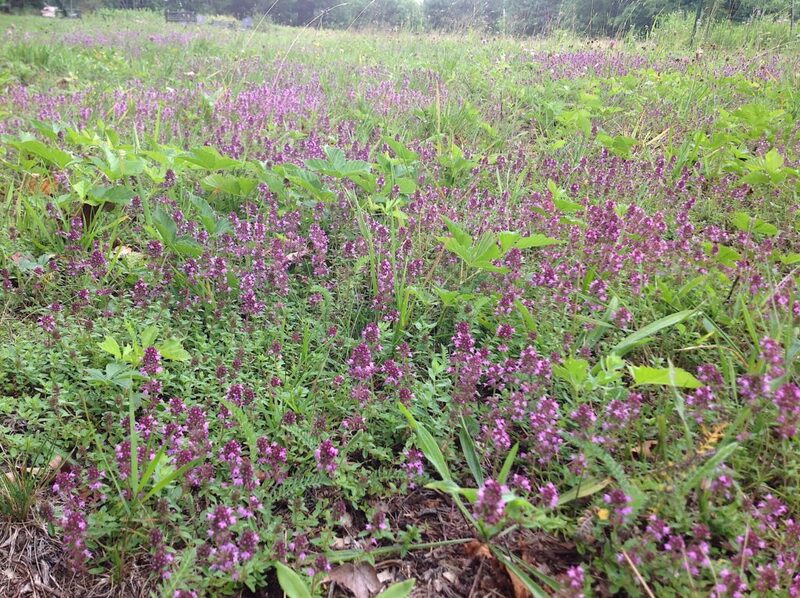 Fields of wild thyme feed the honeybees. 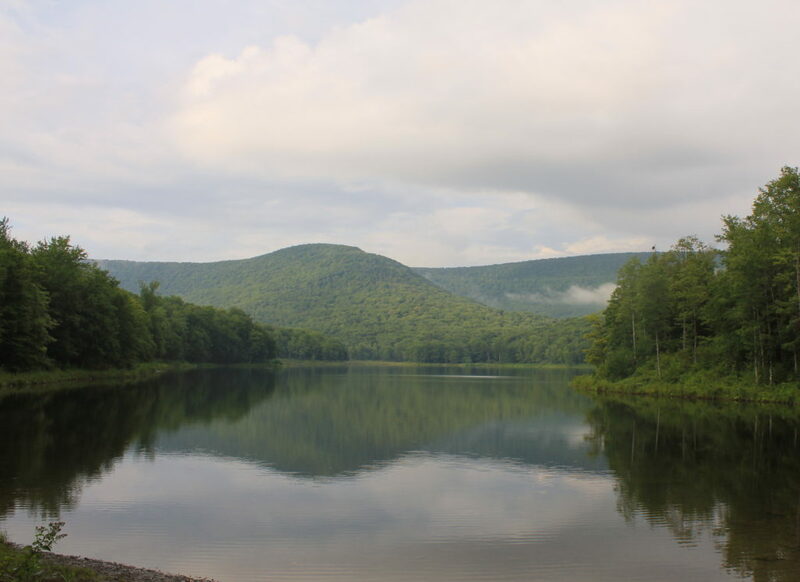 This entry was posted in Daily Catskills and tagged Catskills NY, Catskills Writer, Upstate, Upstate NY on July 28, 2018 by JNUrbanski. Burdock is a biennial, wild invasive species that looks rather like a thistle, but is a cross between rhubarb and celery and repellent to animals because of its bitter outer layer. 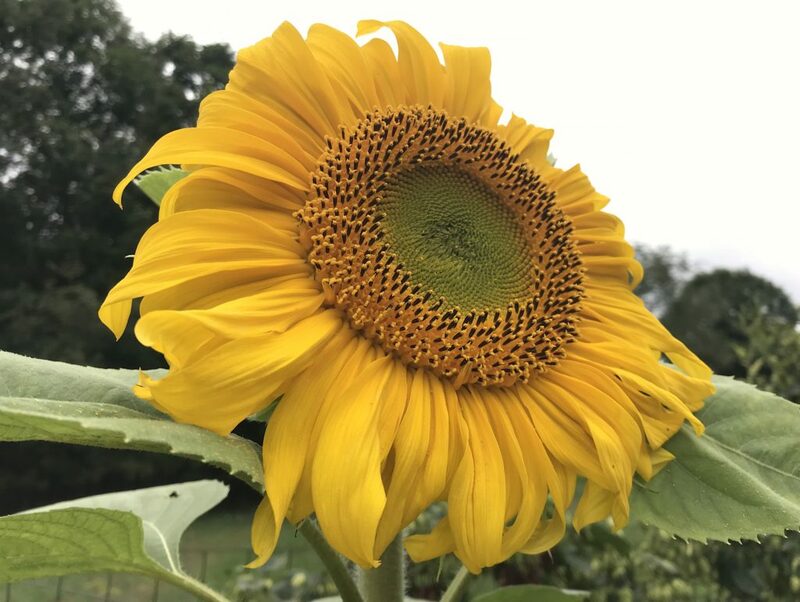 It’s noteworthy because of it’s initial growth of the instantly recognizable, huge, spade-shaped leaves with frilly edges that have a whitish underside. At first glance, the first year plant looks like rhubarb. 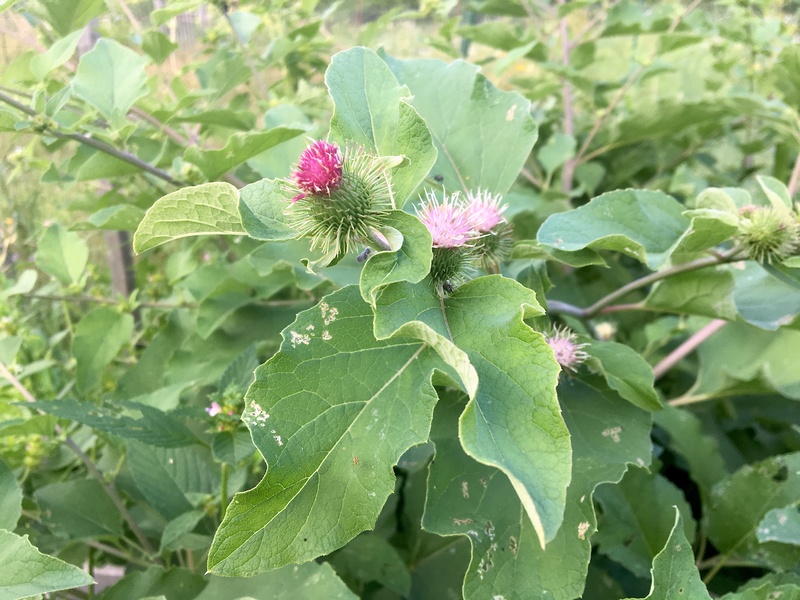 This entry was posted in Foraging and tagged Burdock, Catskills, Catskills Writer, Foraging in the Catskills, Upstate NY on July 27, 2018 by JNUrbanski. A 76F high, overcast, soggy and humid with more rain showers. 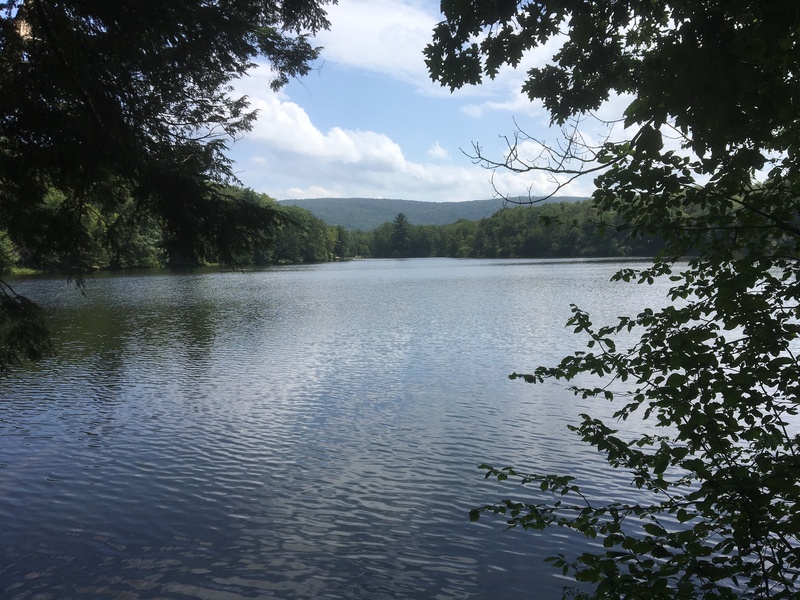 This entry was posted in Daily Catskills and tagged Catskills, Catskills Writer, Daily Catskills, Upstate NY on July 25, 2018 by JNUrbanski. A high of 78F, humid and sweaty with continuous rain showers. 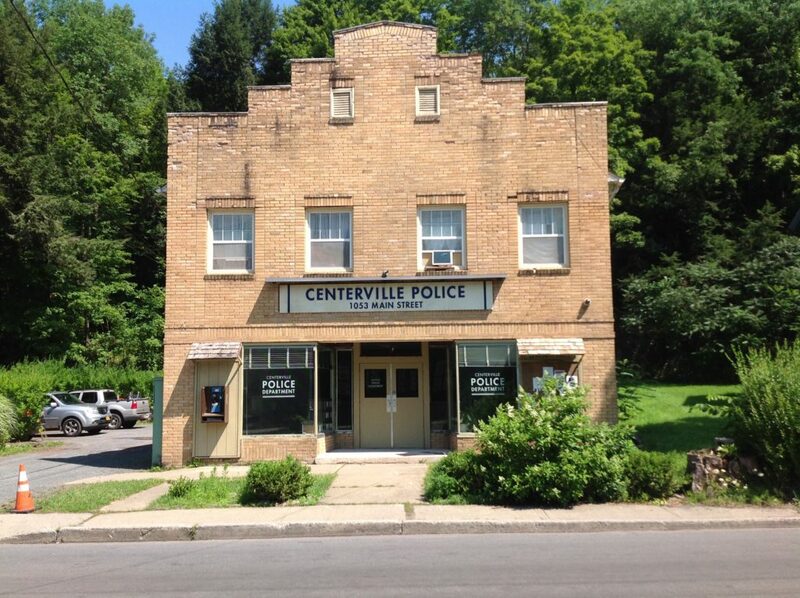 This entry was posted in Daily Catskills and tagged Catskills, Catskills NY, Catskills Writer, Upstate, Upstate NY on July 25, 2018 by JNUrbanski. 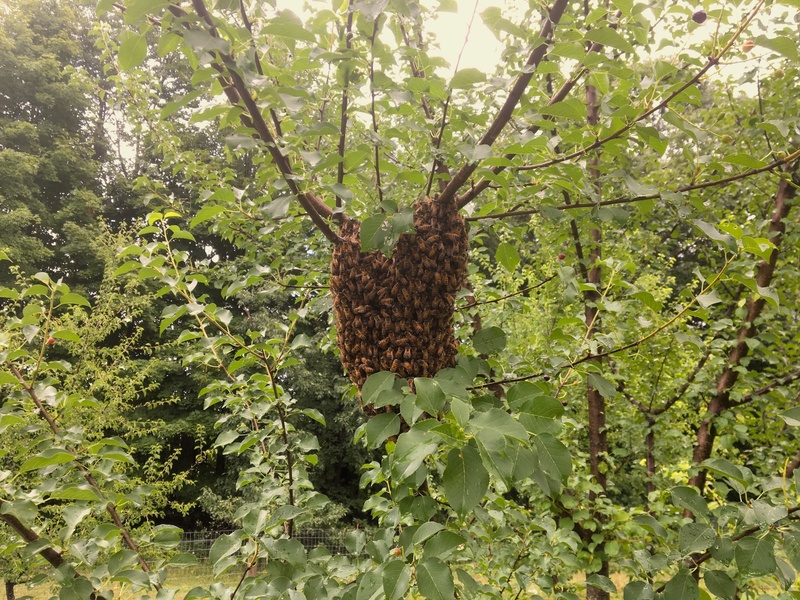 This entry was posted in Farming and tagged Beekeeping, Catskills, Catskills Beekeeping, Catskills NY, Upstate NY on July 23, 2018 by JNUrbanski. A high of 78F and soggy with intermittent rain showers and brief periods of sunshine. 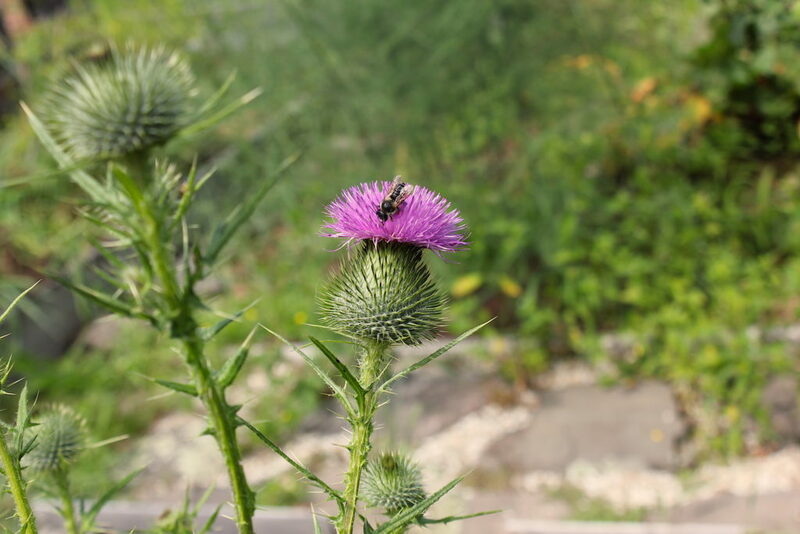 This entry was posted in Daily Catskills and tagged Catskills, Catskills Thistles, Catskills Writer, Daily Catskills, Upstate New York, Upstate NY on July 23, 2018 by JNUrbanski. 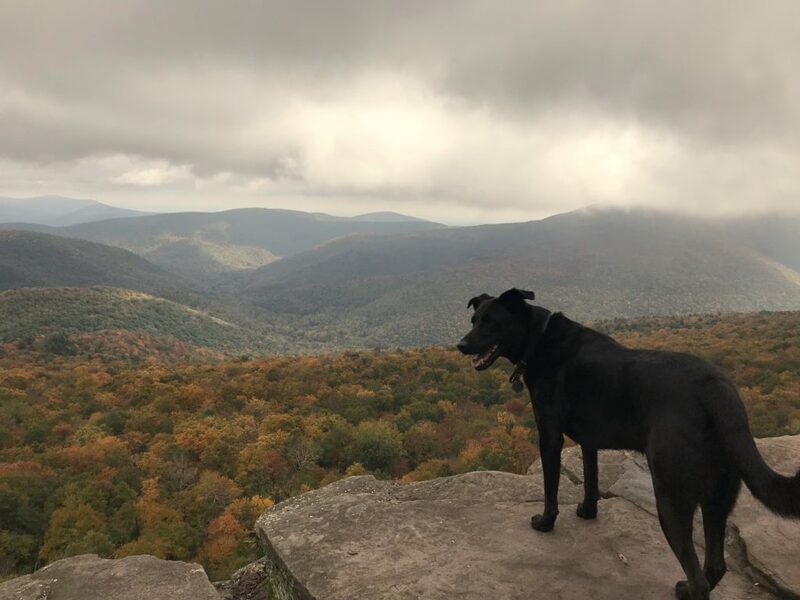 Compared to any of the Catskills 3500 hikes, Rochester Hollow is a gentle, family-friendly hike with not much of an elevation gain from the parking lot (about 850ft), and good for dogs in hot weather because it follows a creek for the first couple of miles. 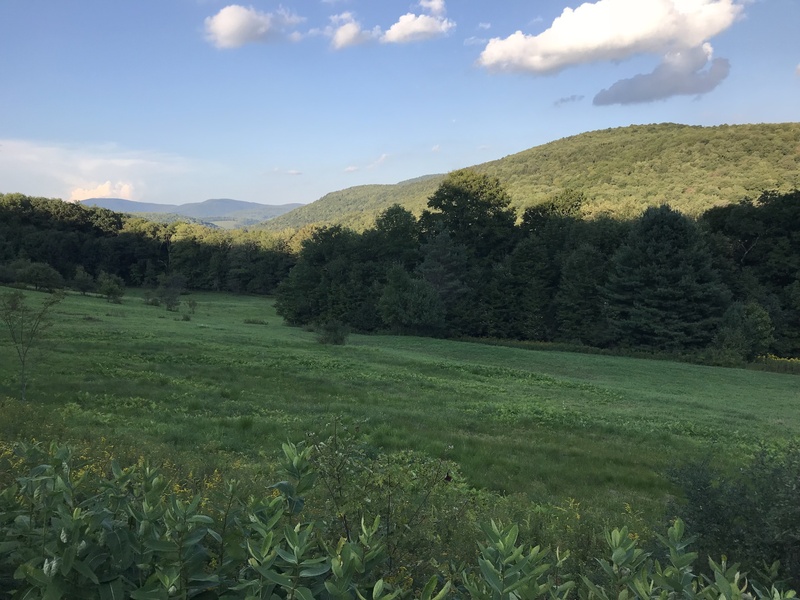 This entry was posted in Hiking The Catskills and tagged Catskills, Catskills Writer, Hiking, Upstate Hiking, Upstate NY on July 21, 2018 by JNUrbanski.